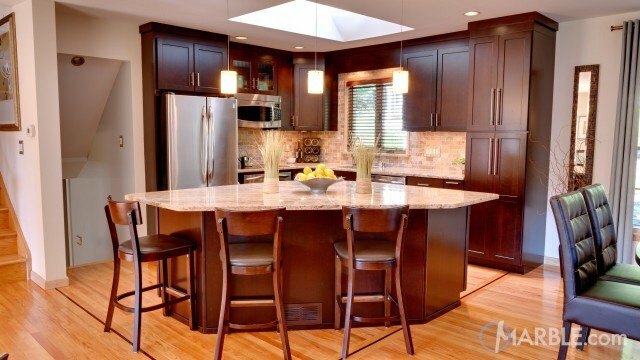 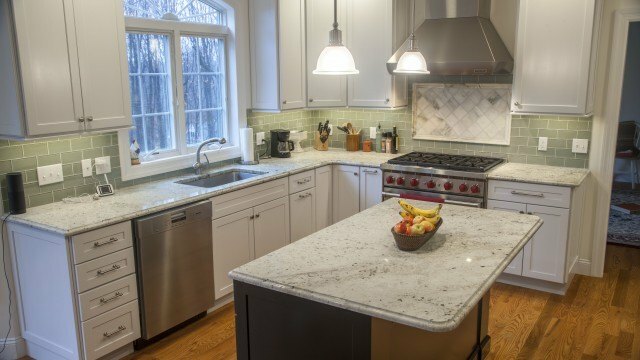 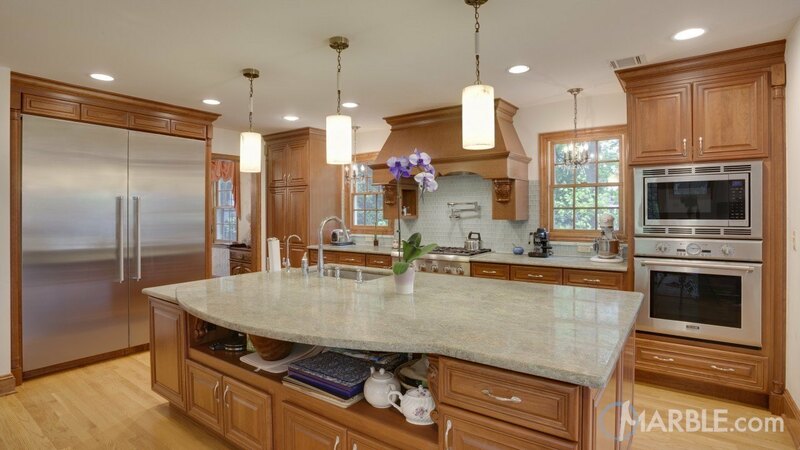 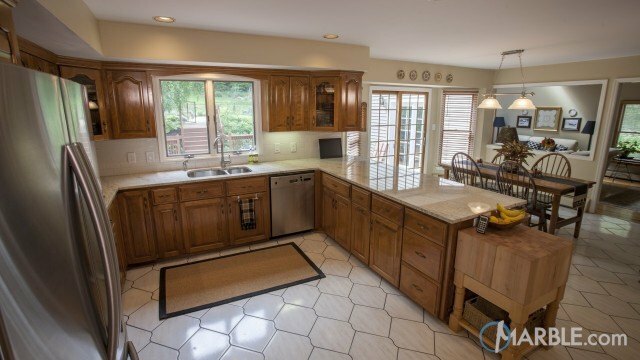 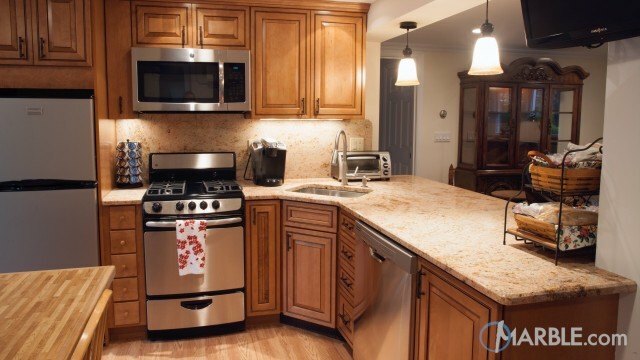 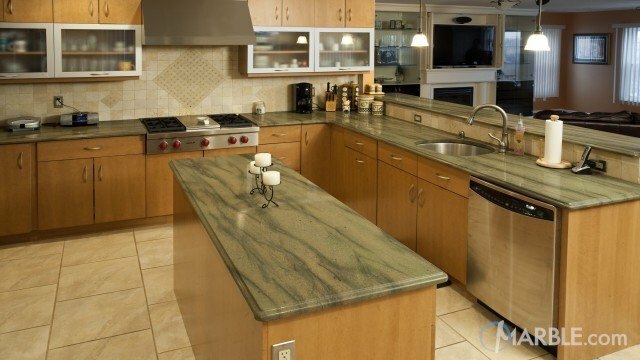 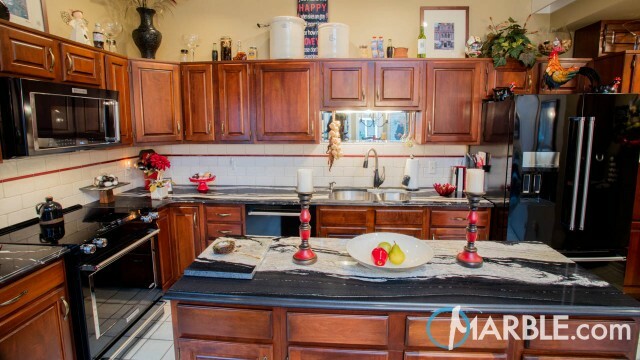 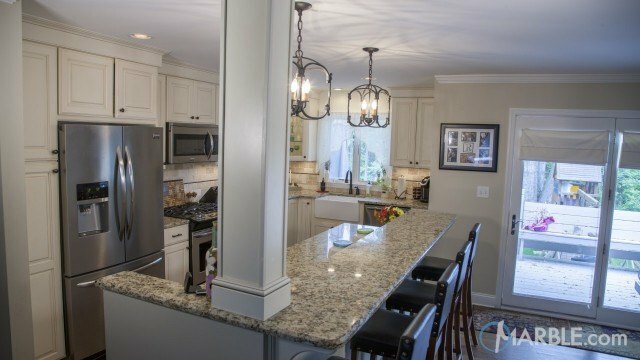 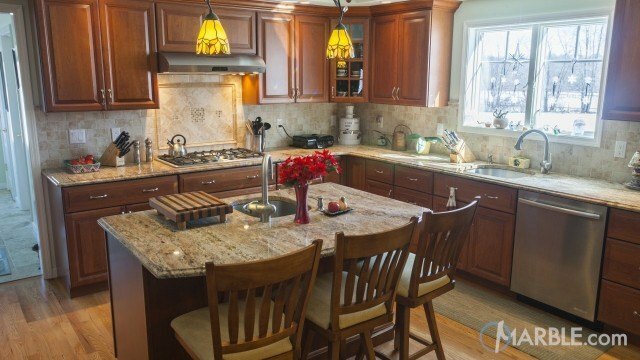 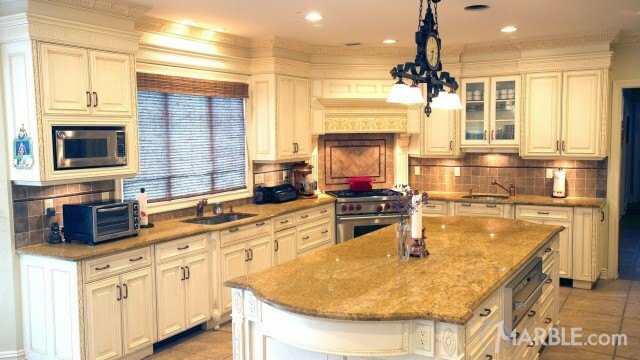 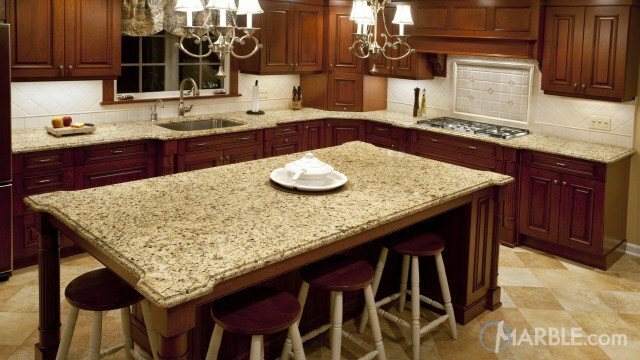 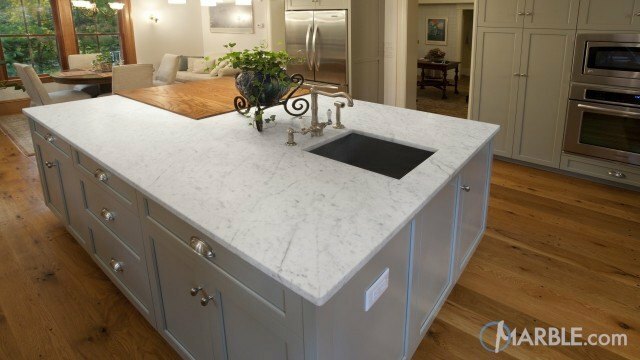 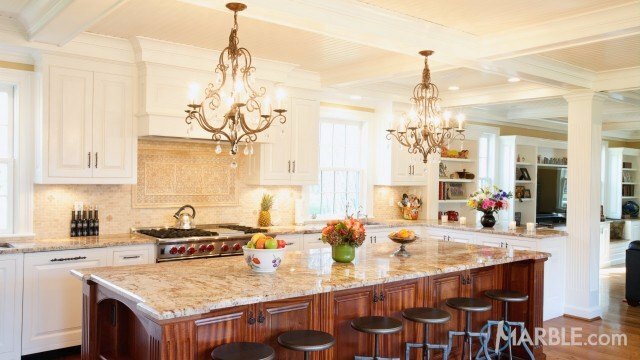 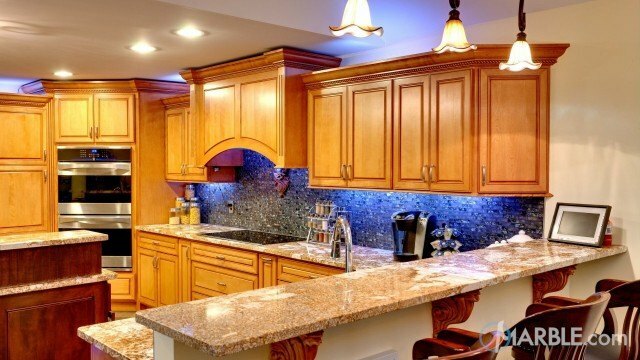 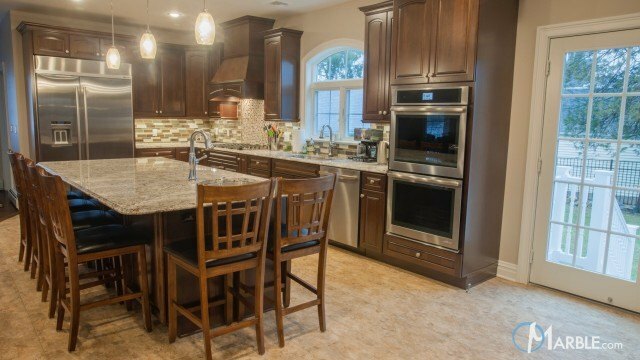 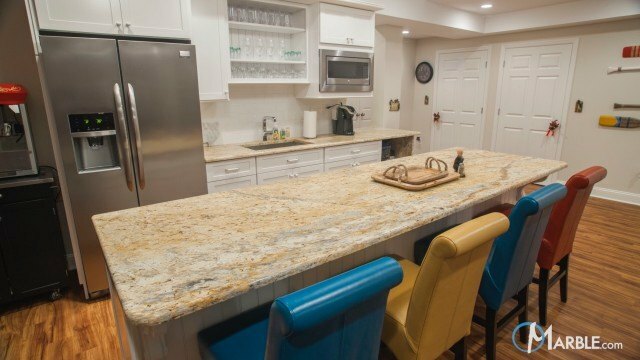 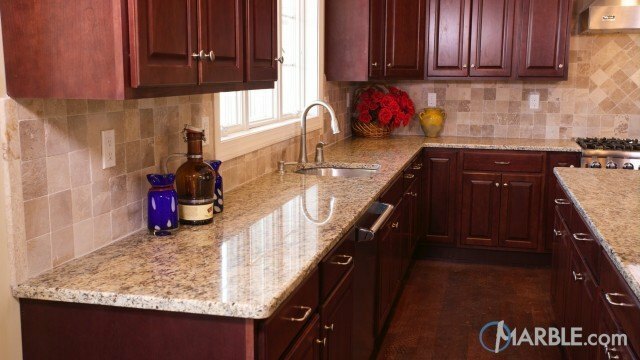 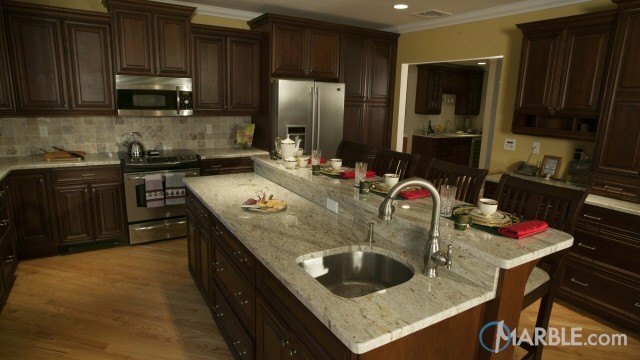 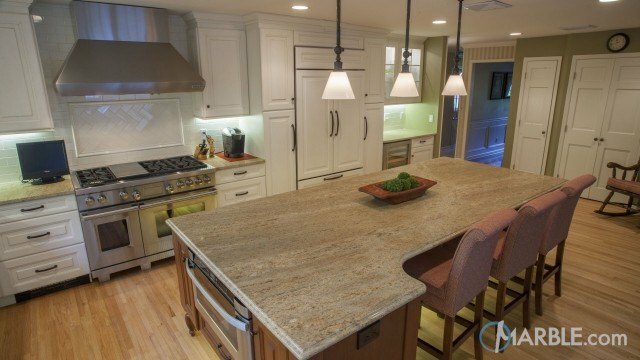 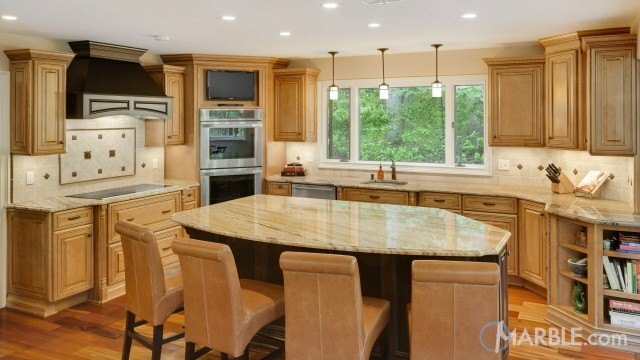 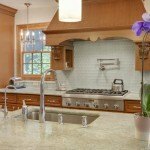 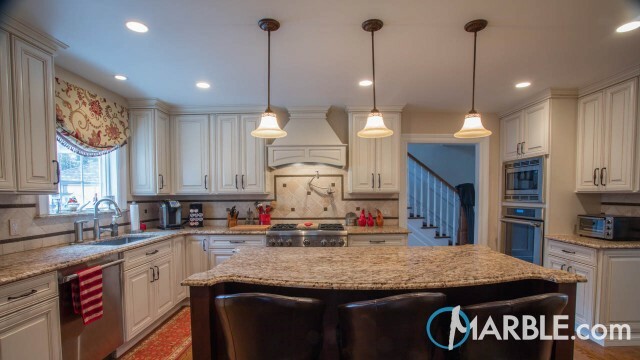 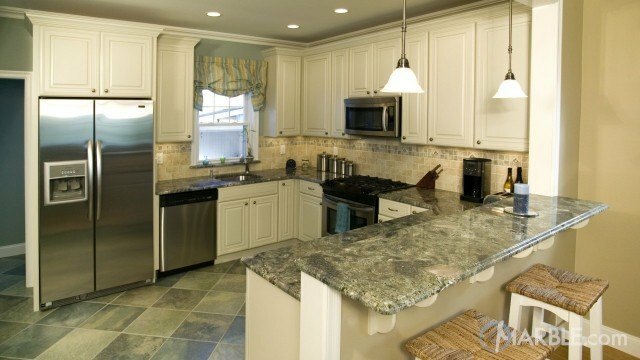 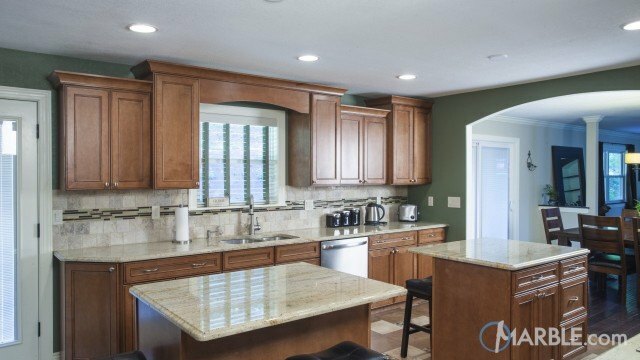 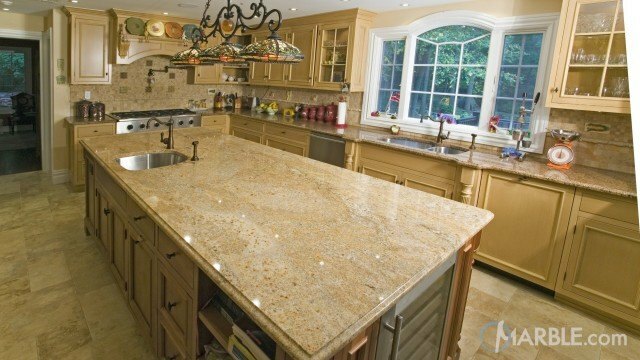 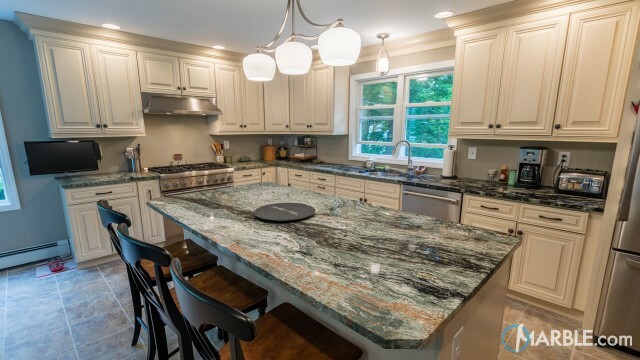 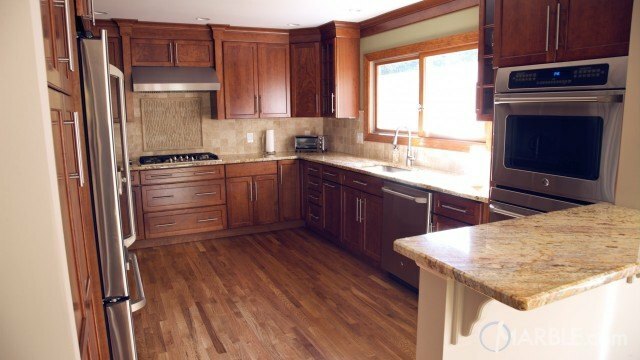 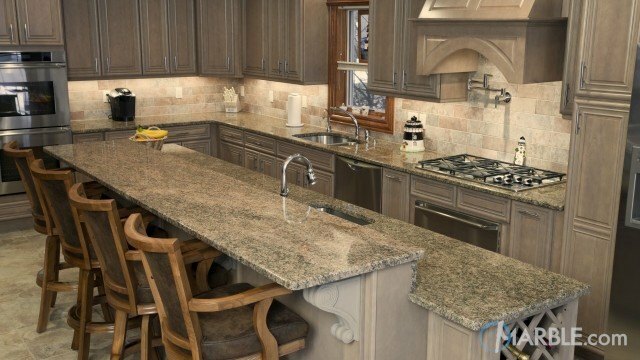 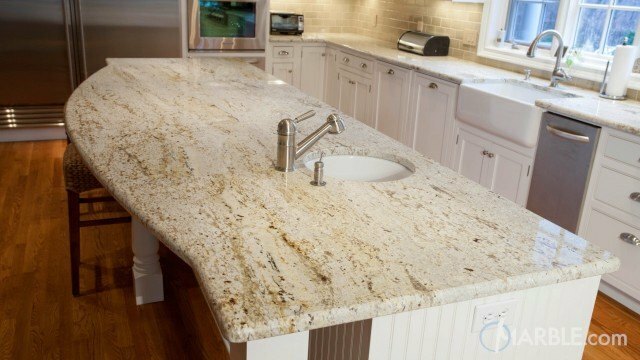 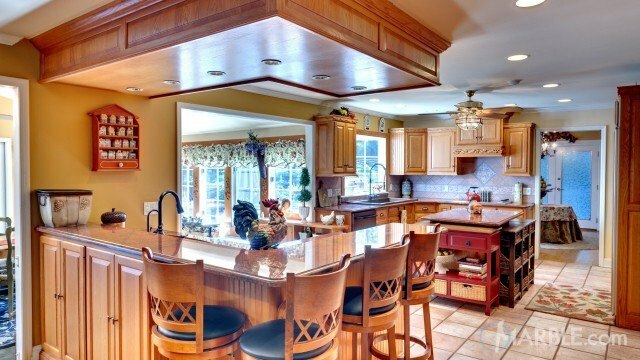 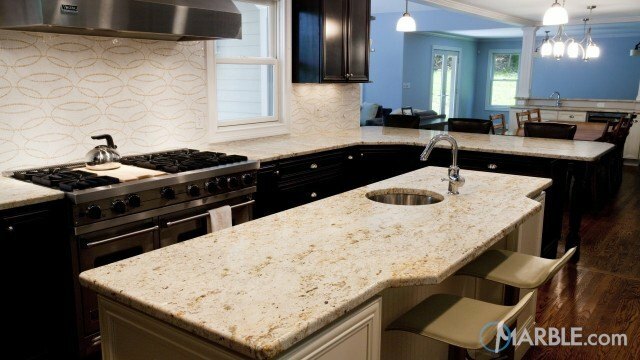 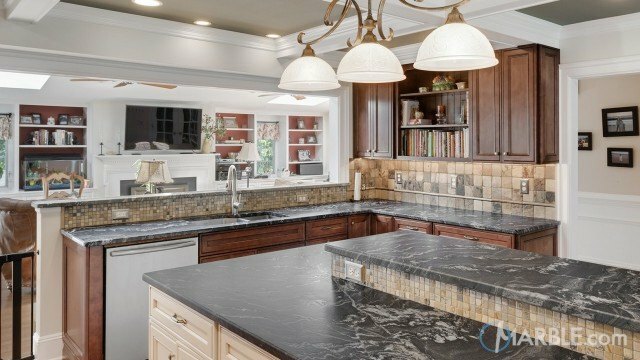 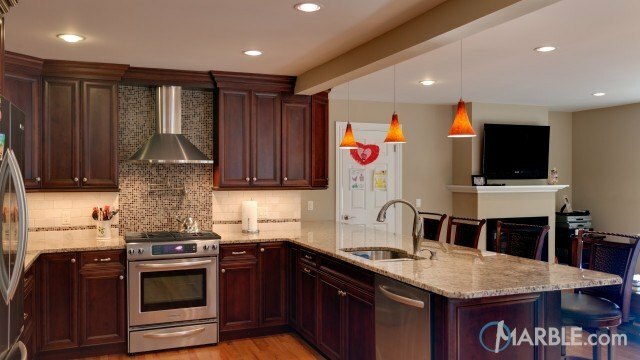 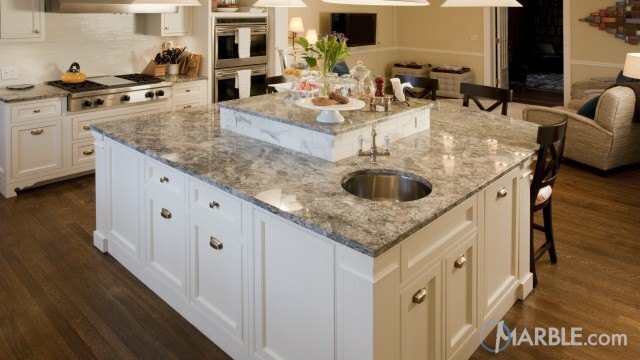 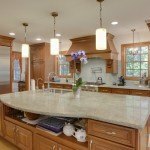 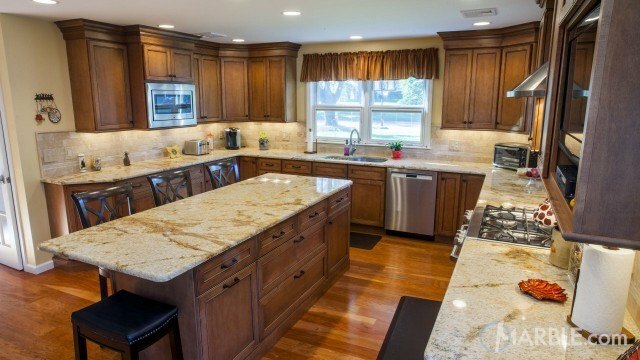 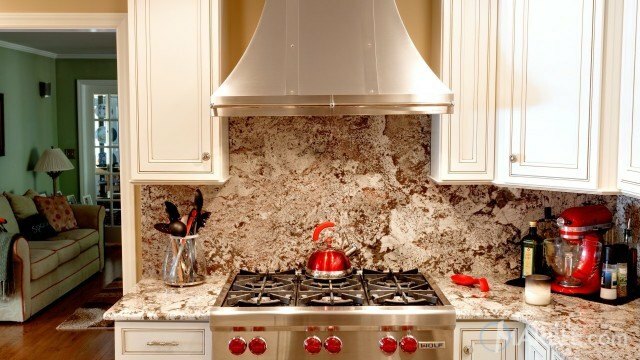 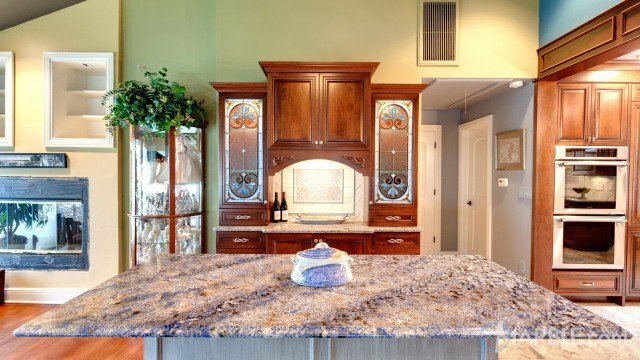 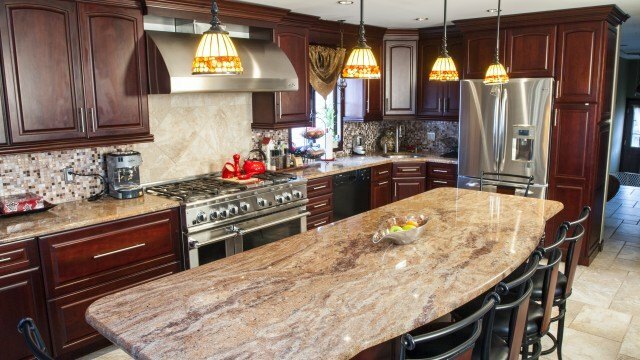 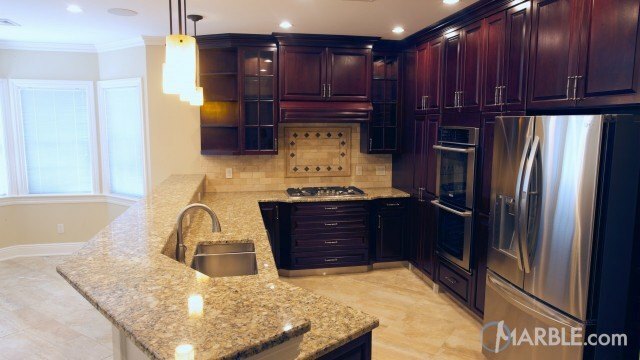 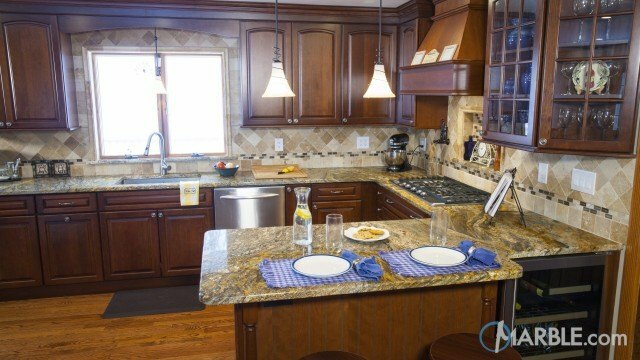 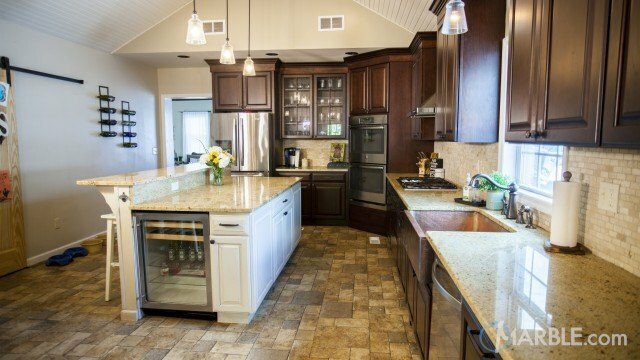 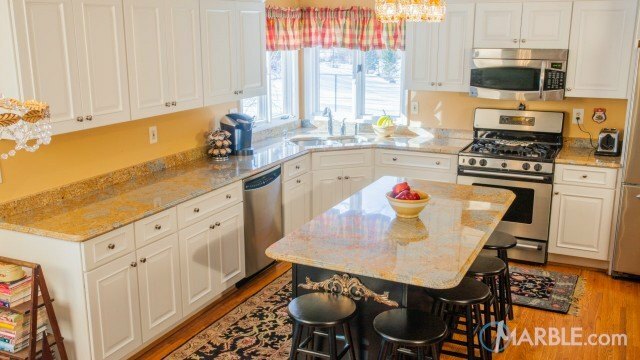 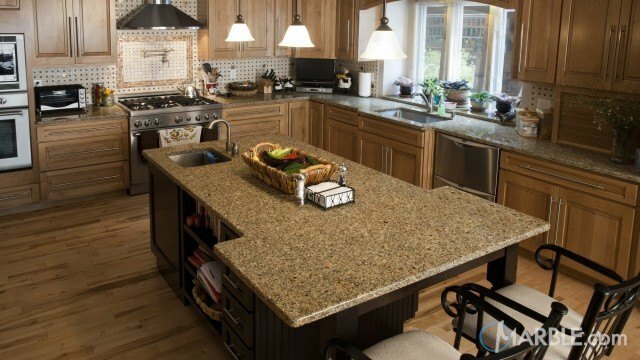 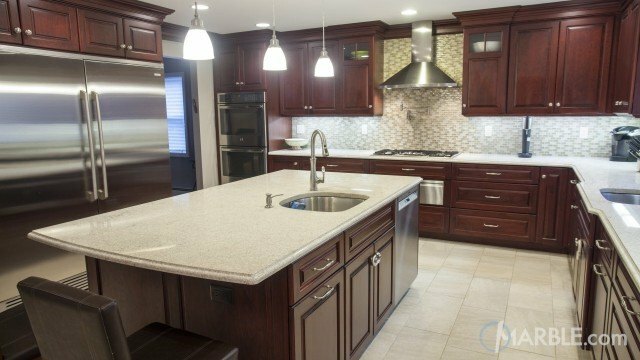 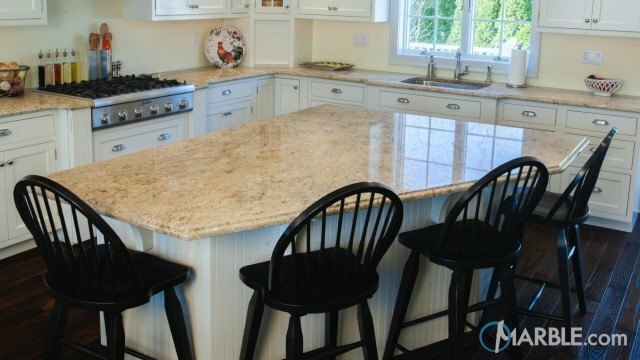 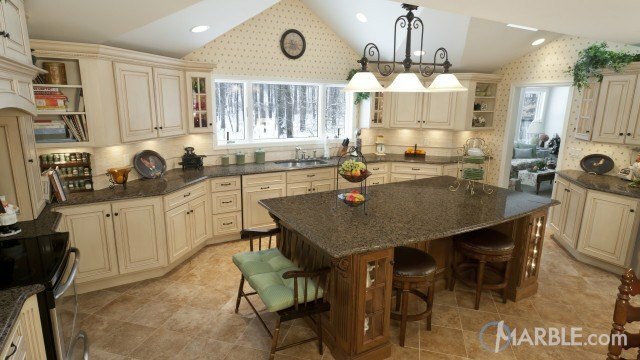 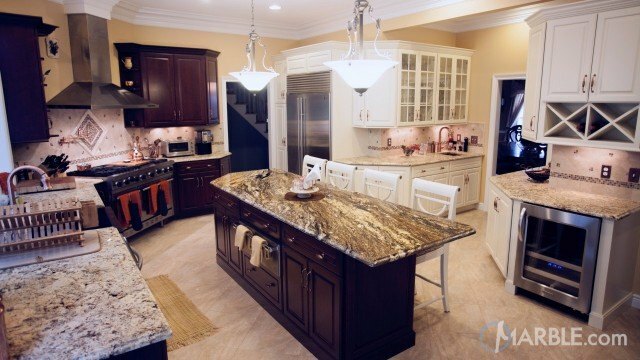 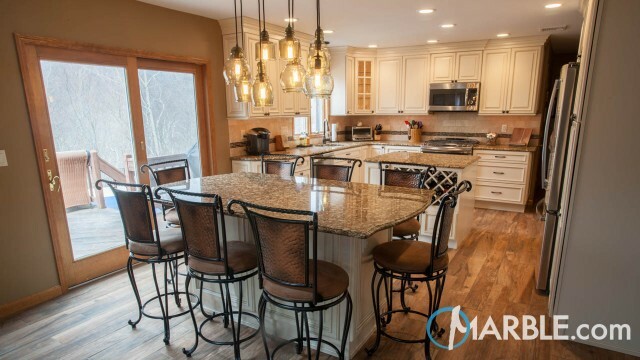 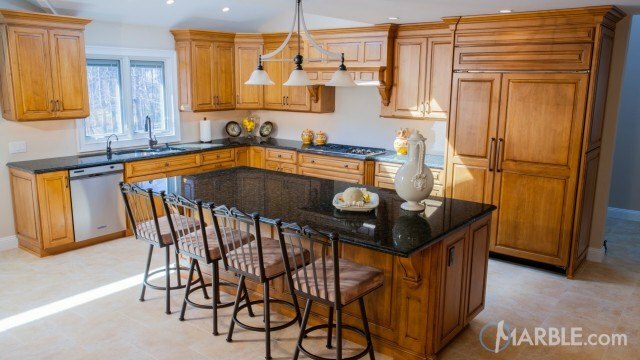 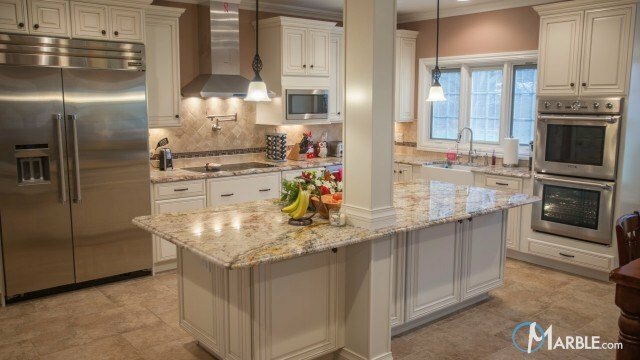 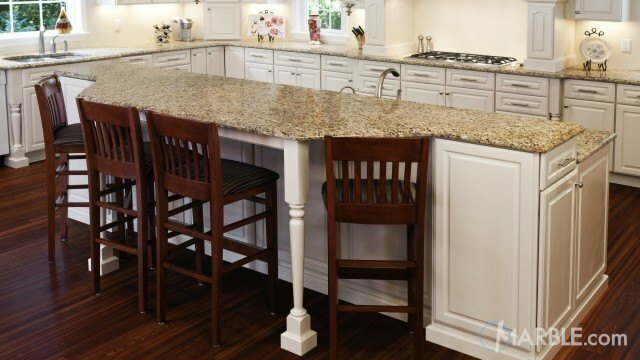 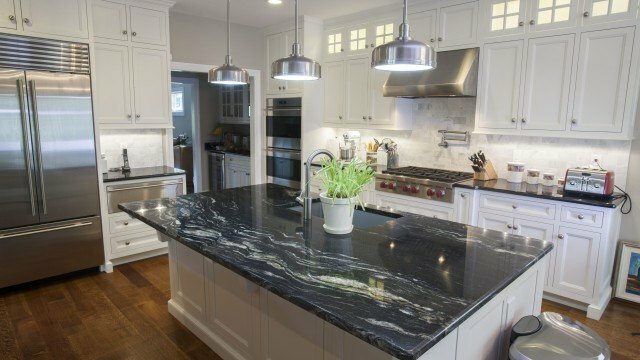 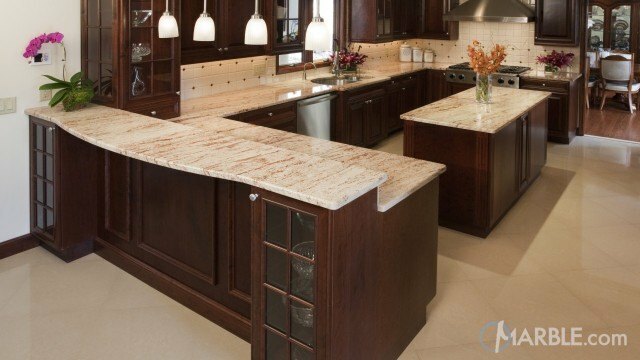 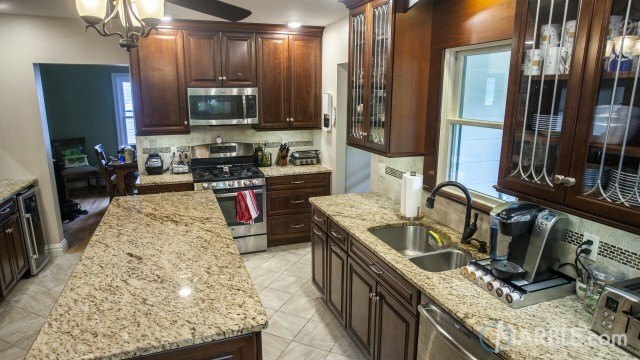 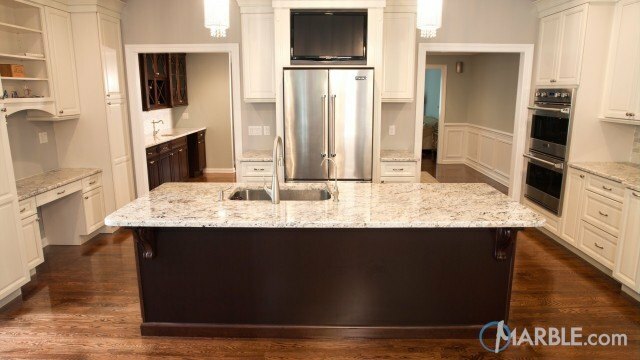 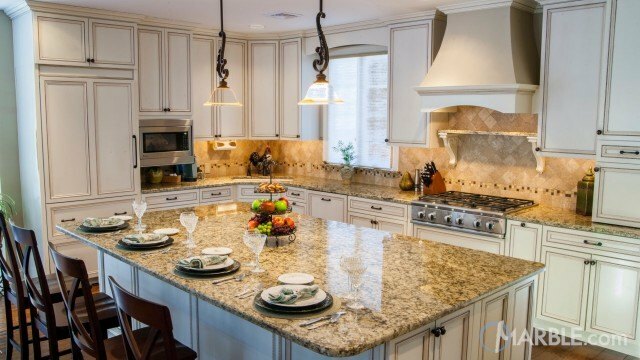 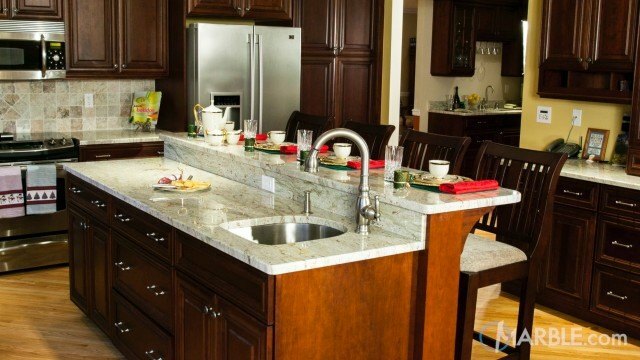 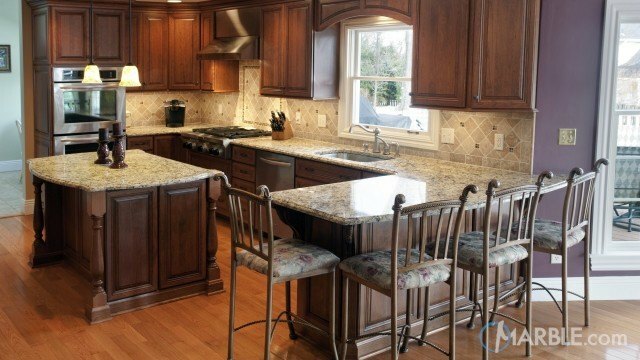 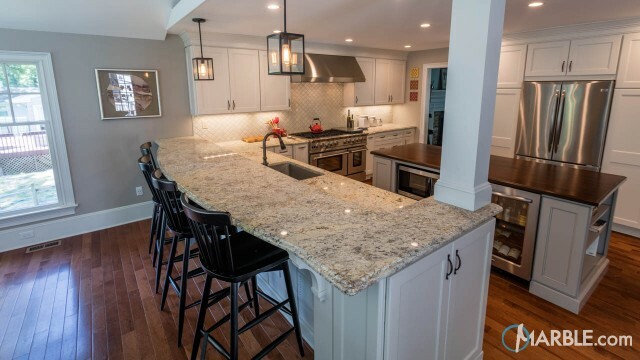 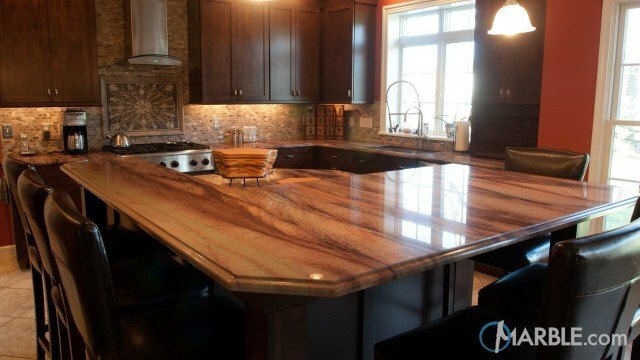 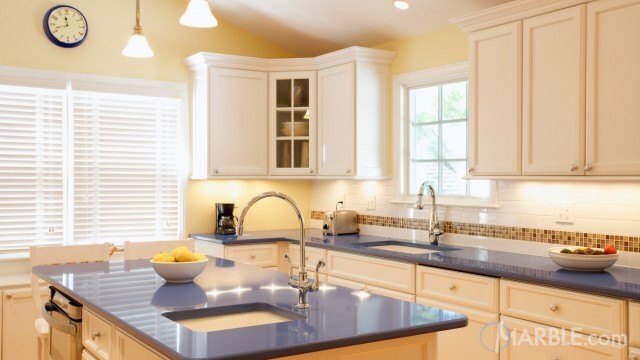 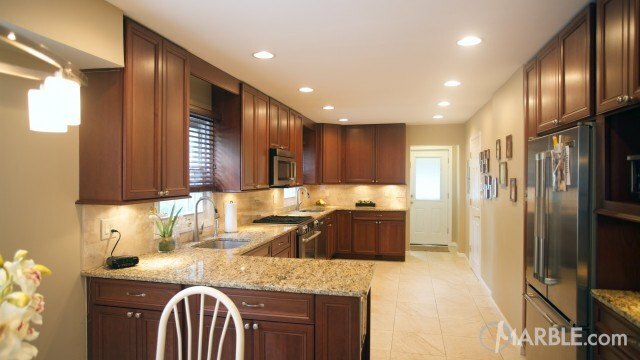 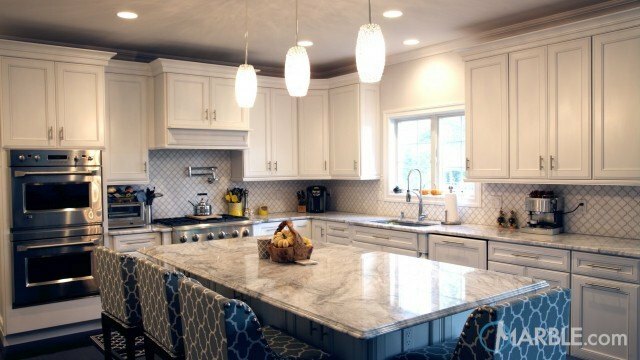 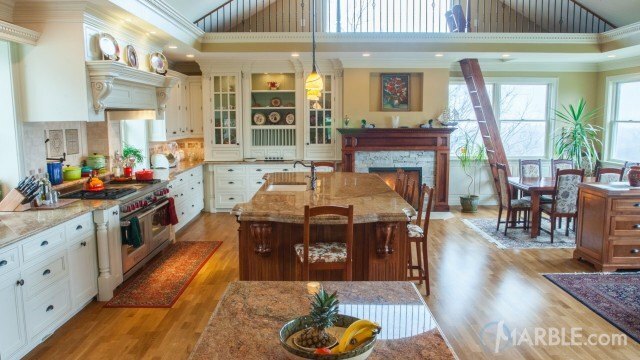 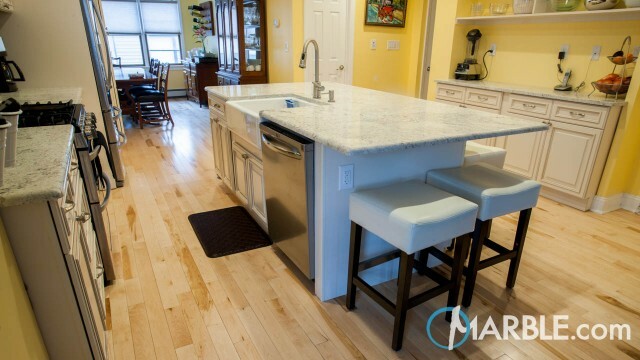 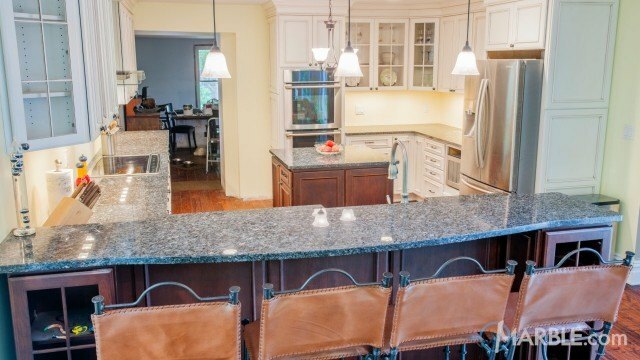 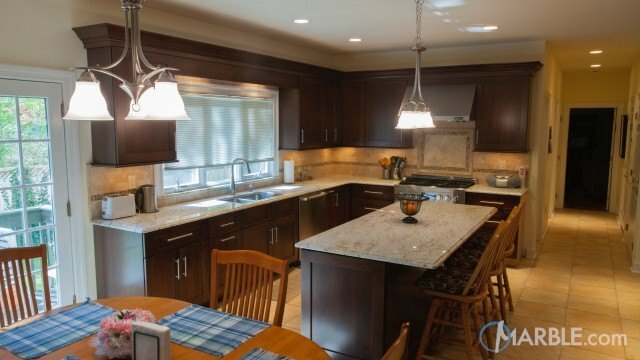 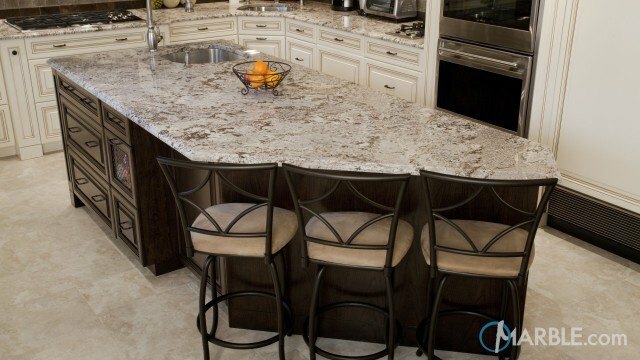 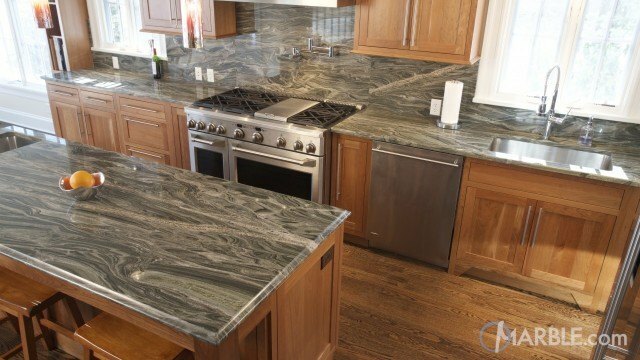 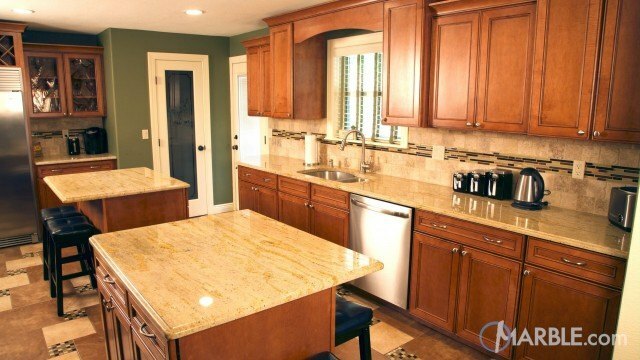 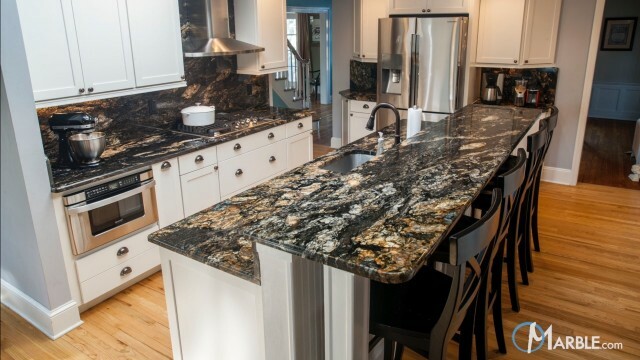 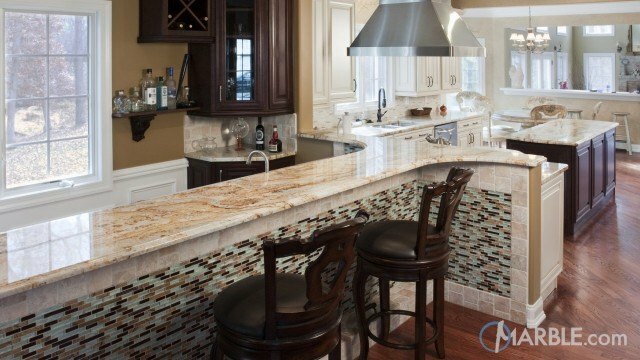 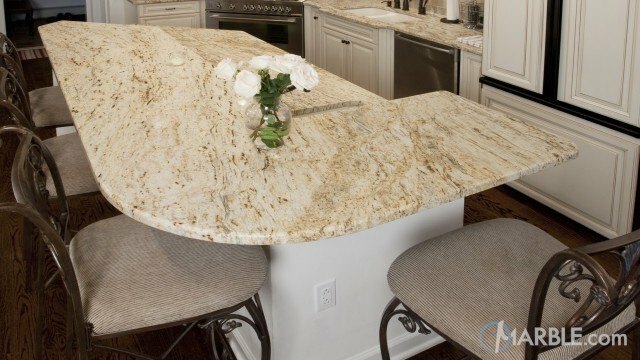 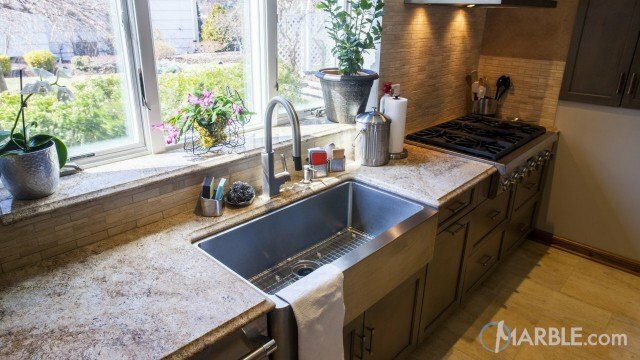 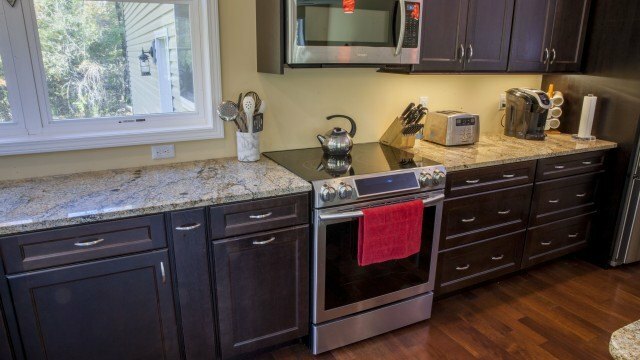 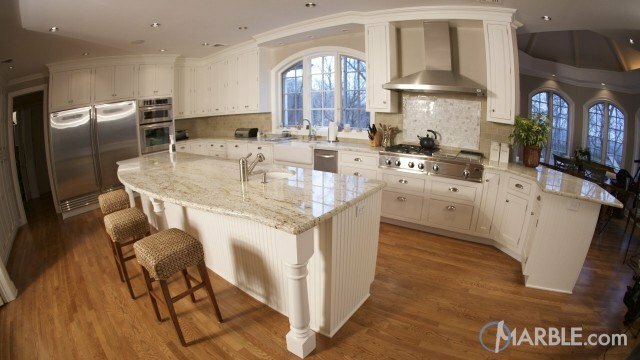 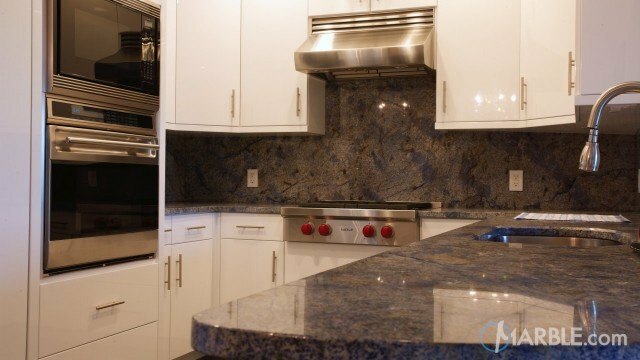 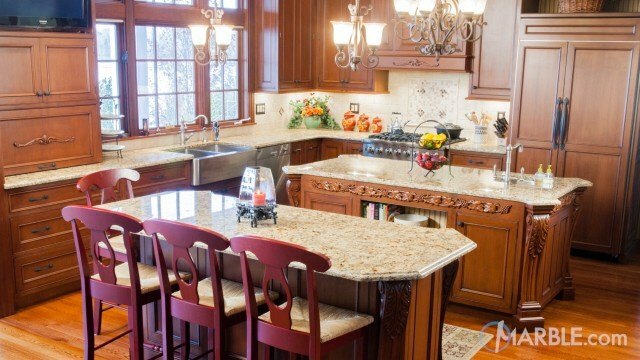 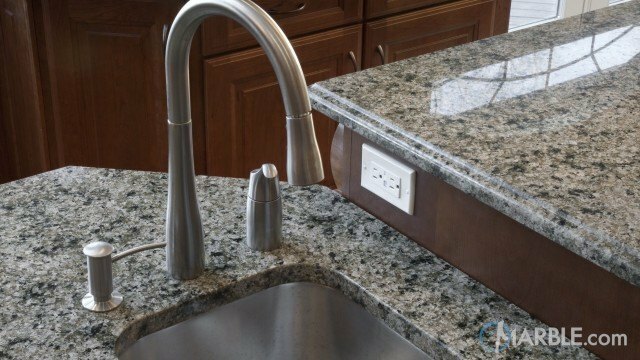 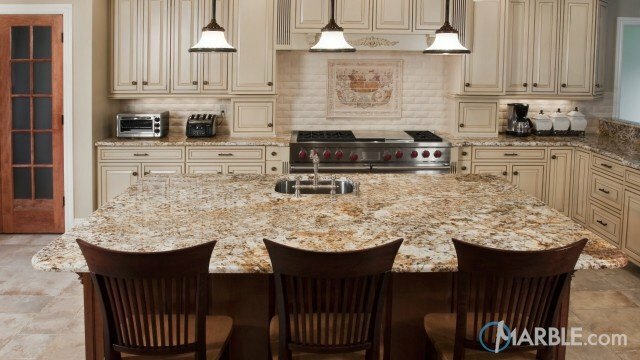 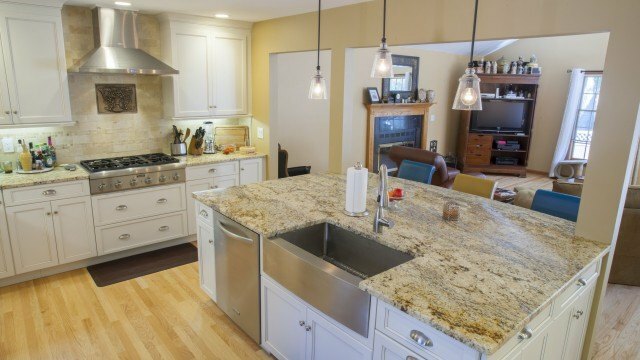 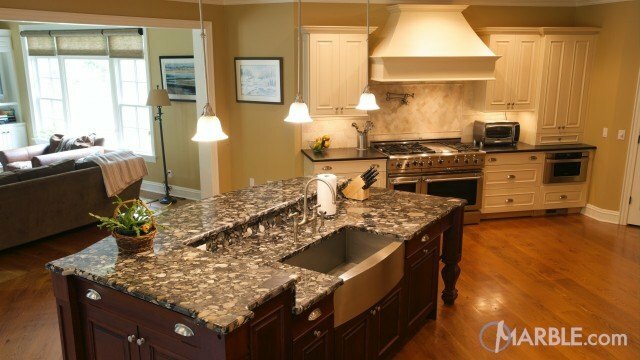 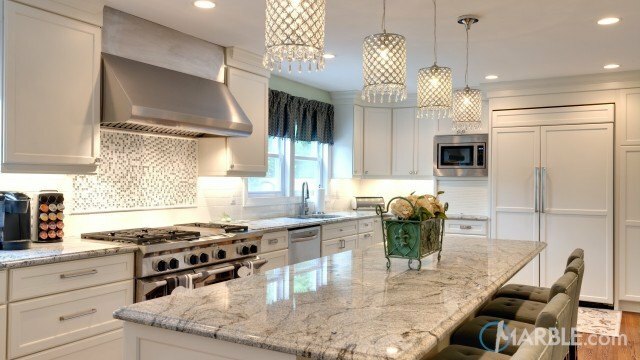 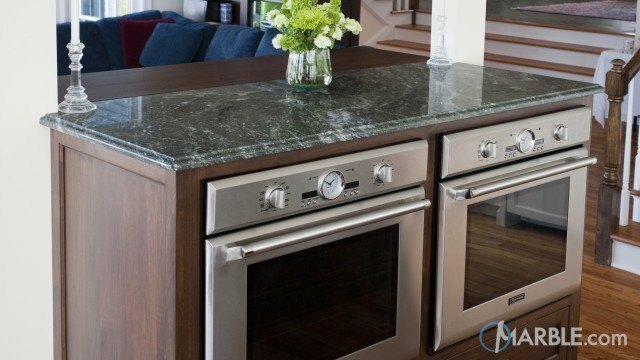 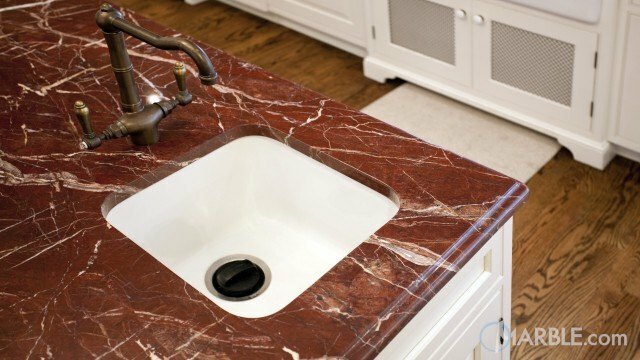 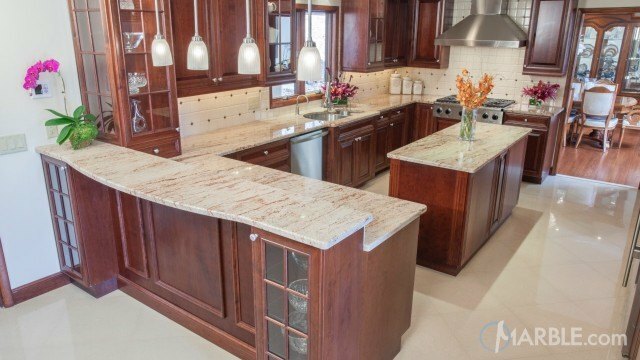 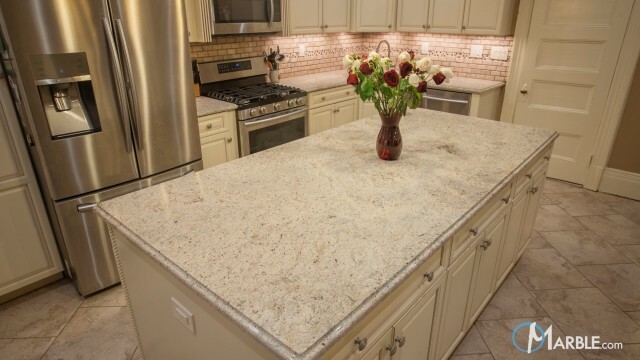 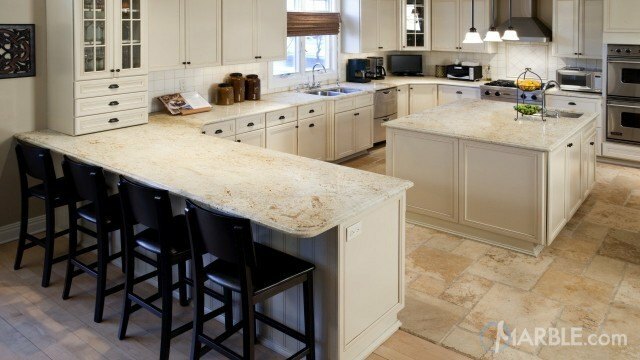 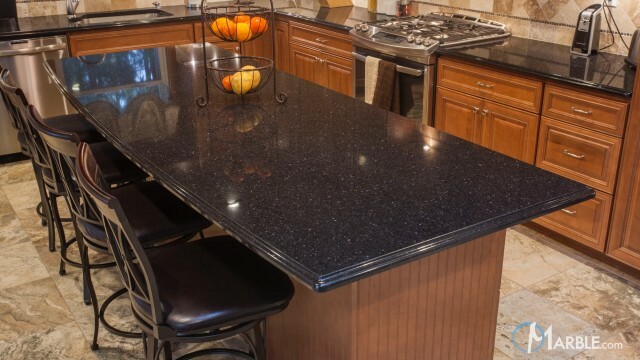 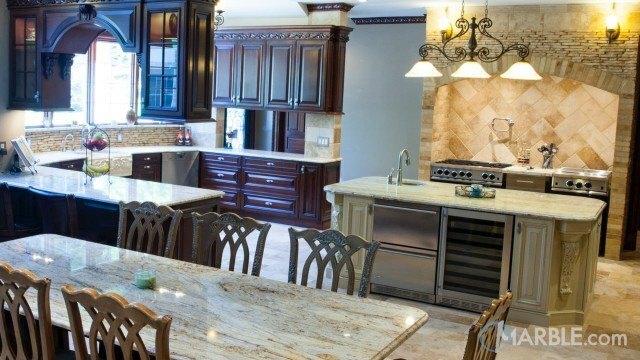 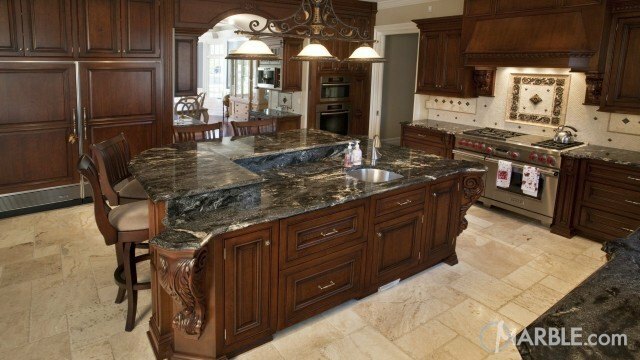 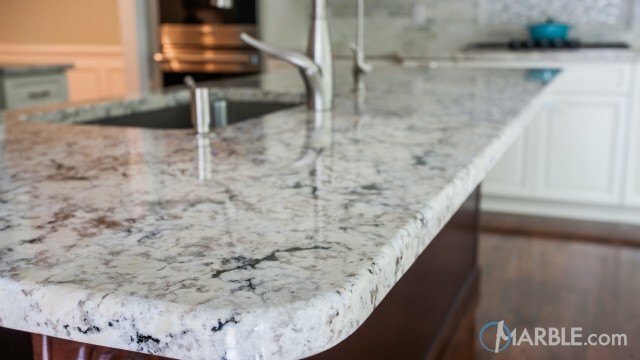 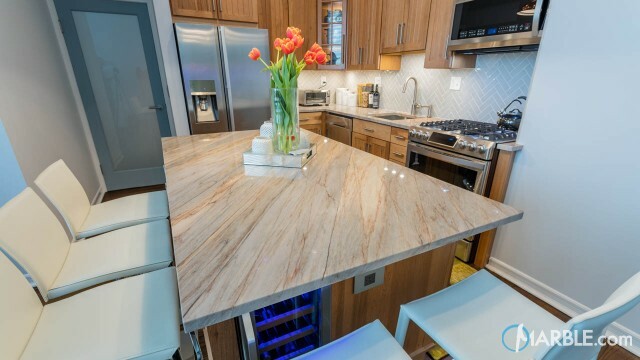 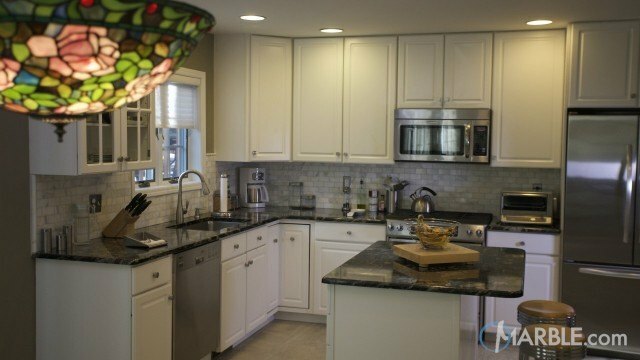 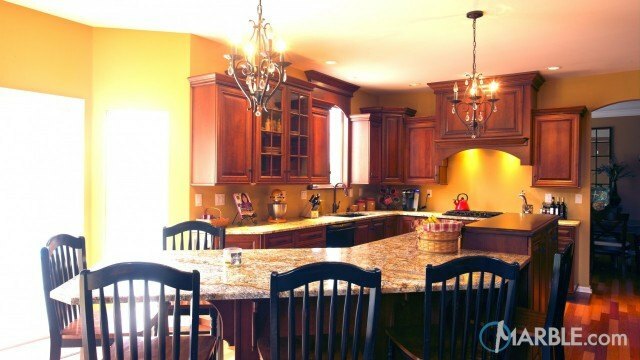 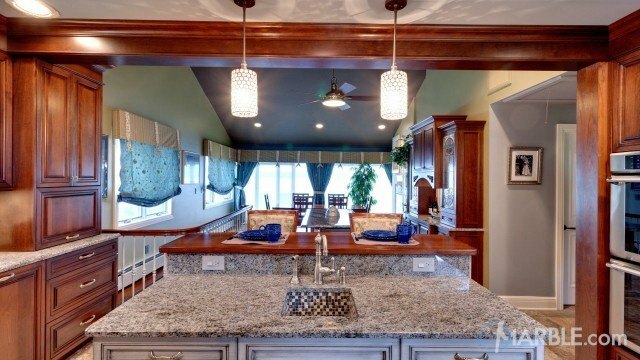 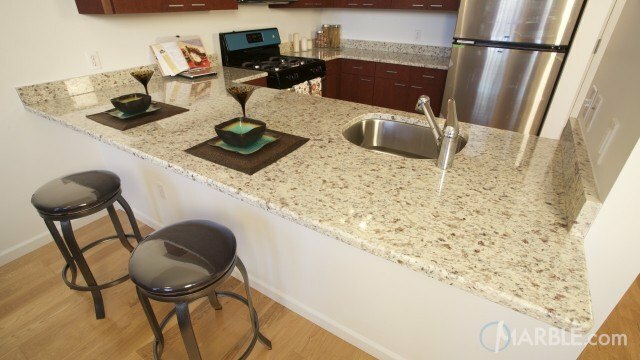 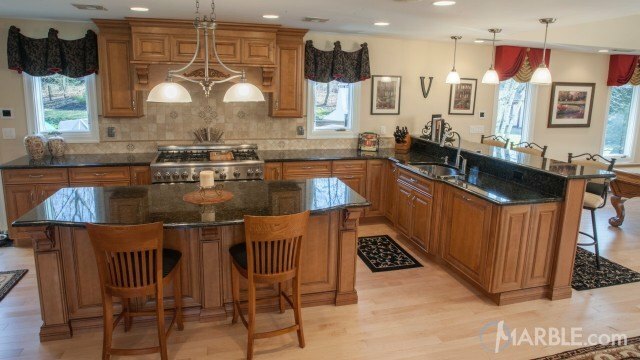 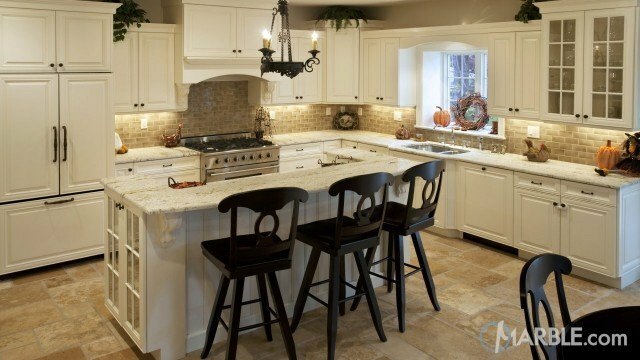 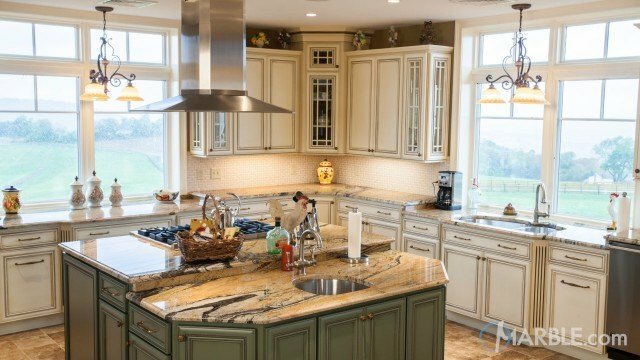 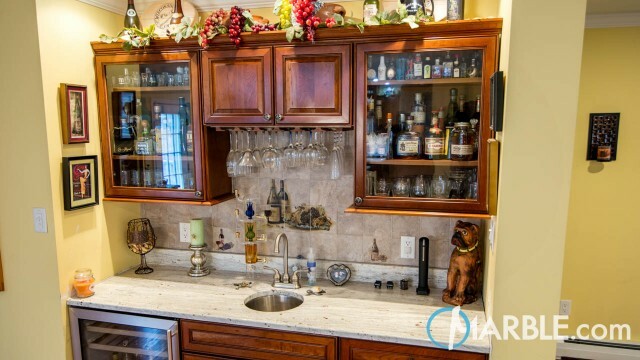 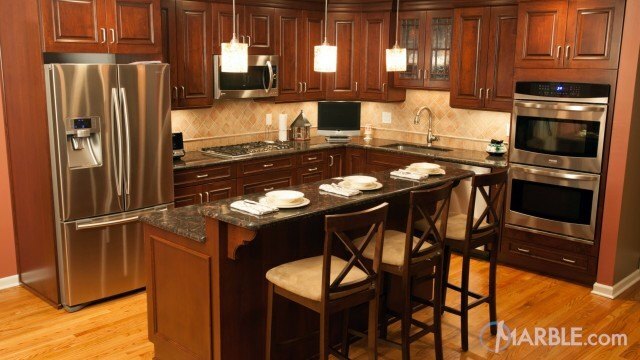 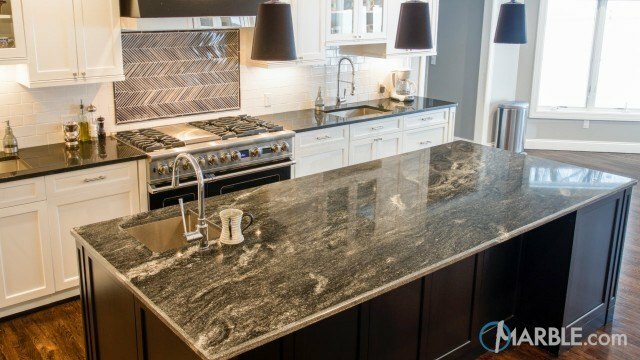 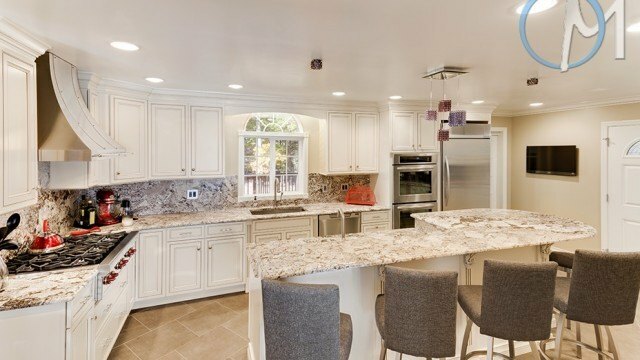 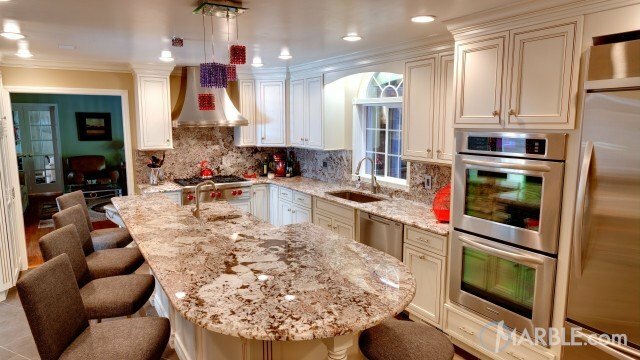 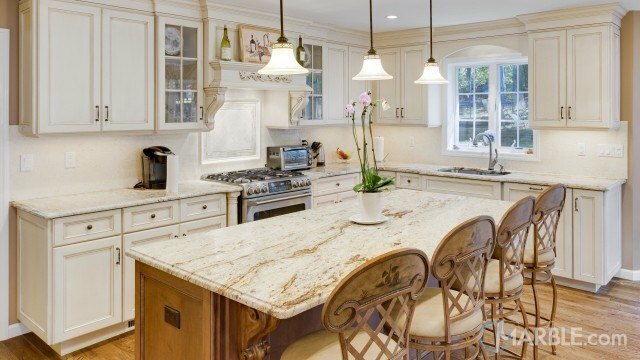 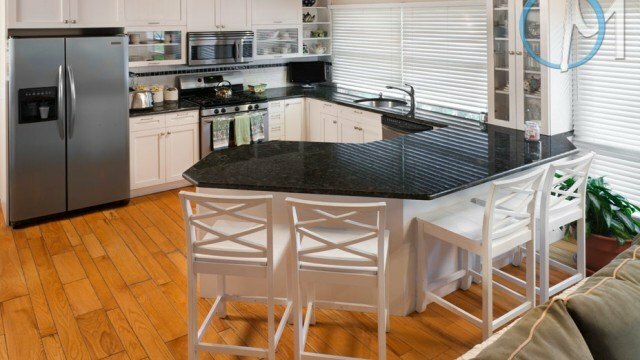 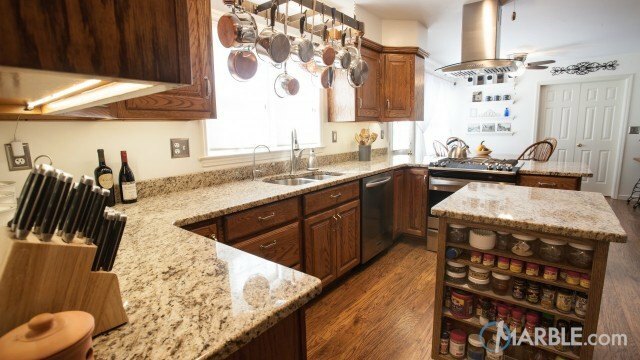 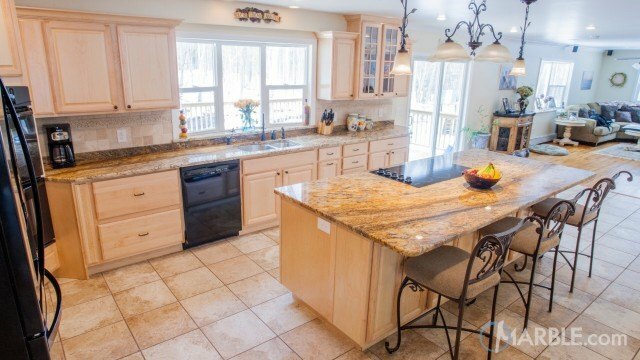 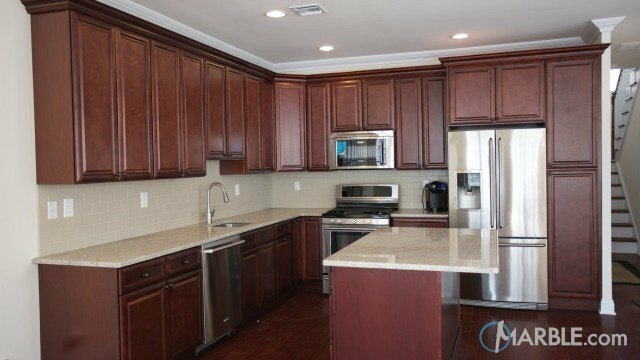 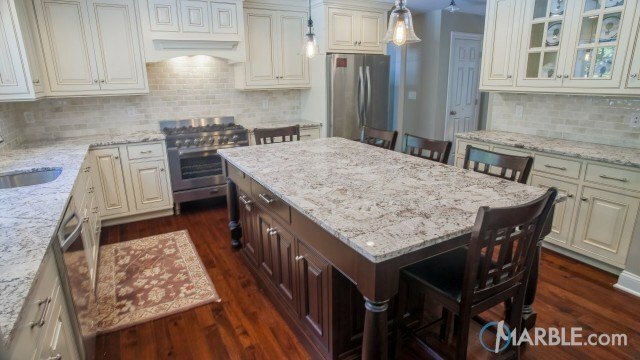 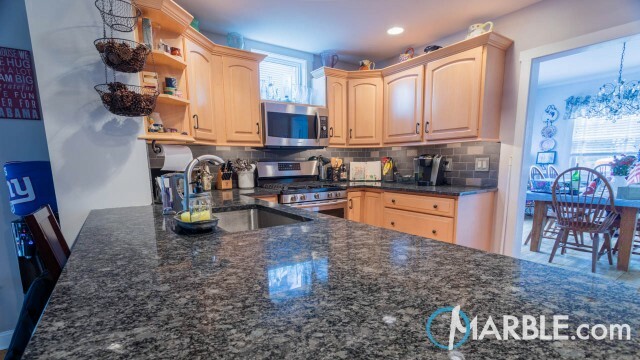 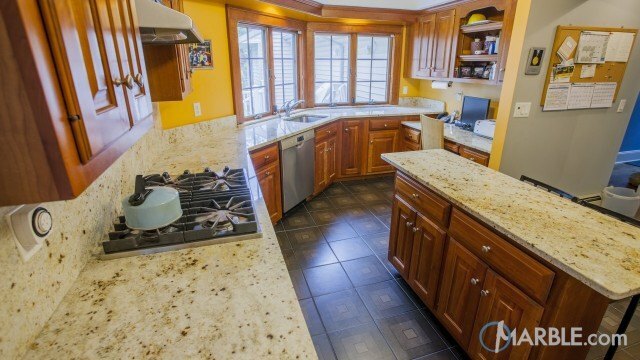 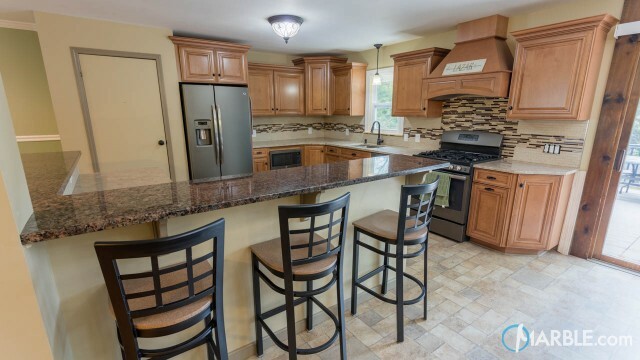 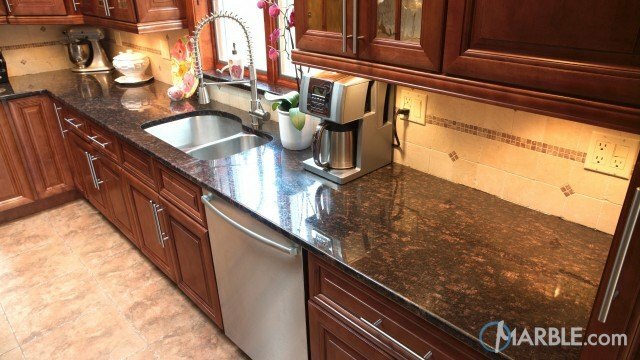 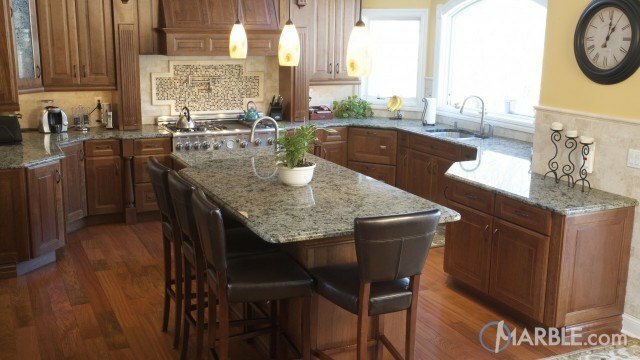 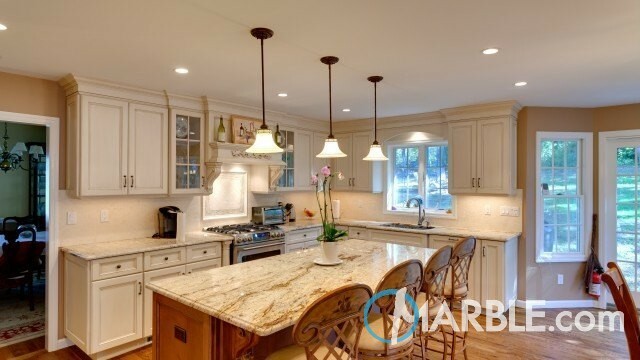 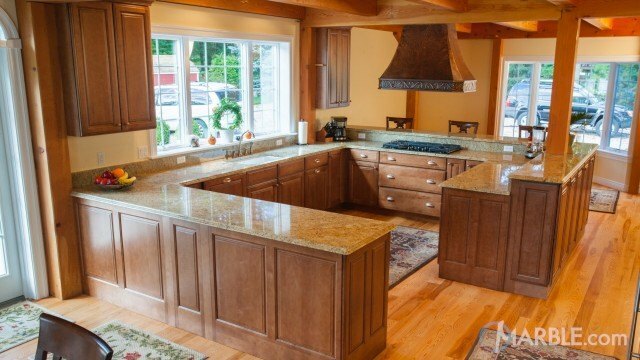 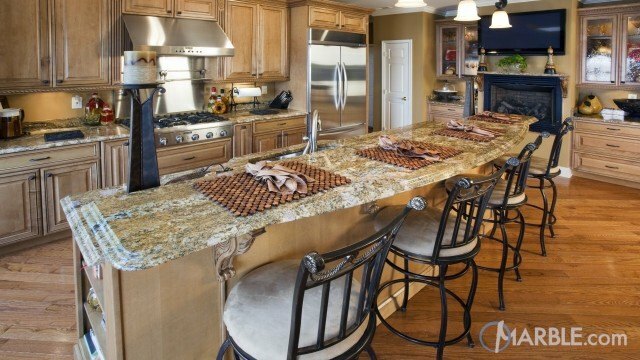 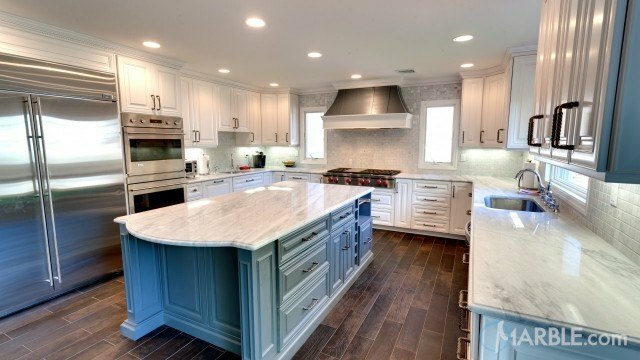 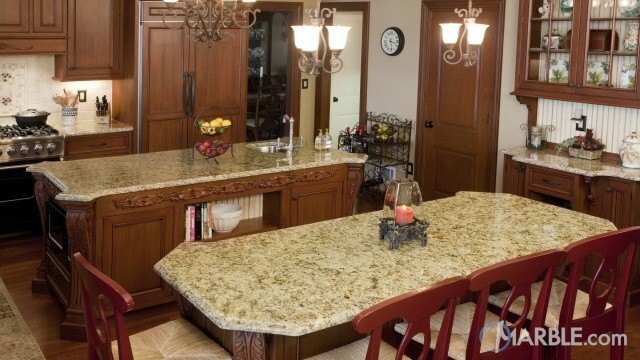 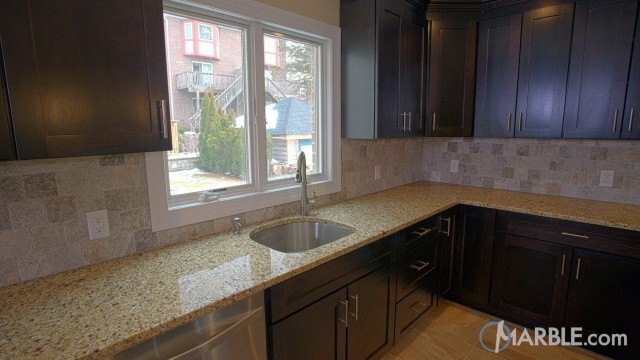 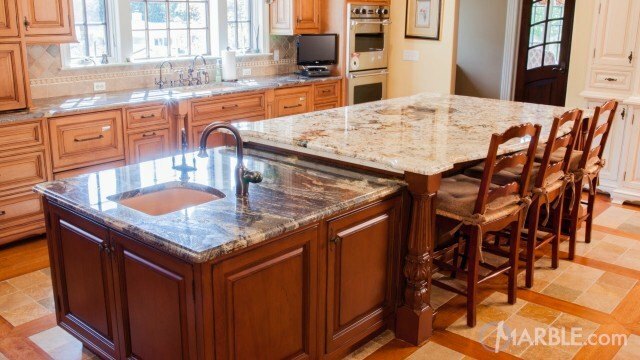 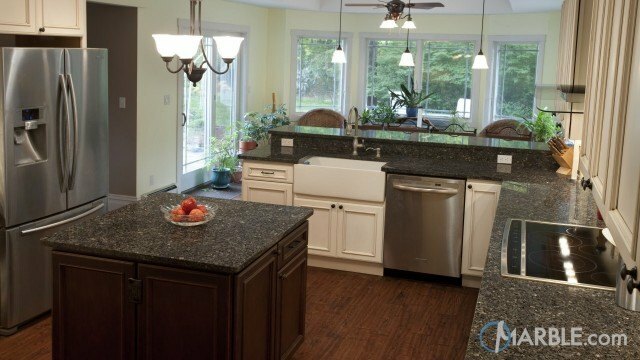 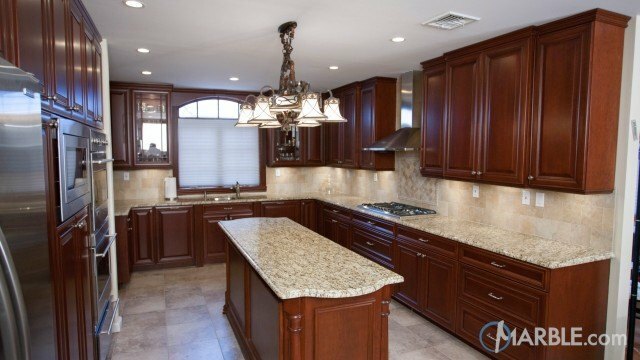 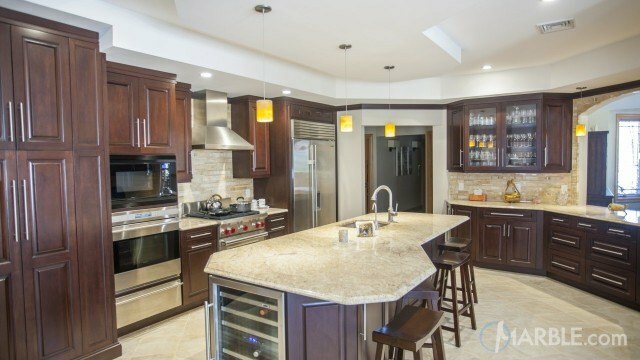 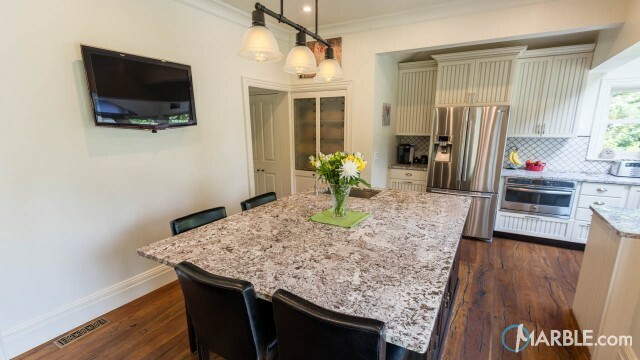 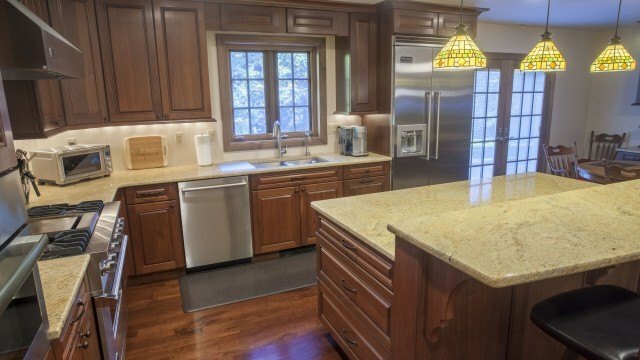 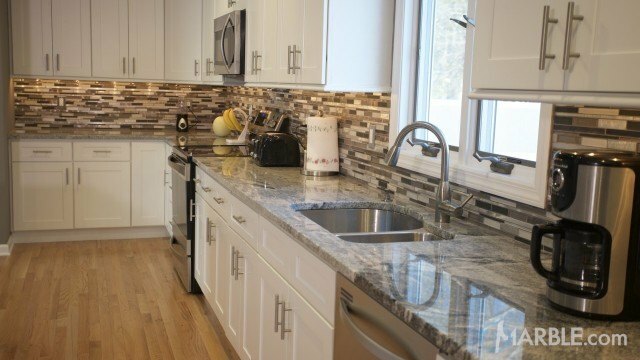 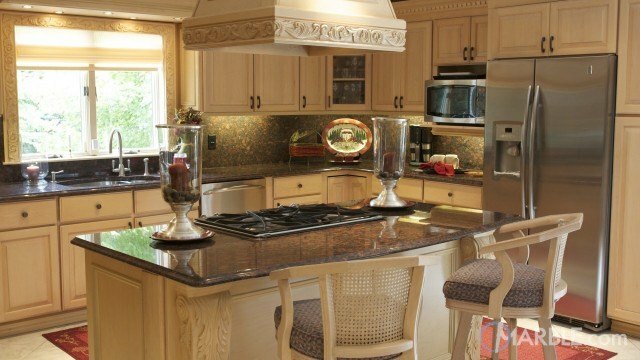 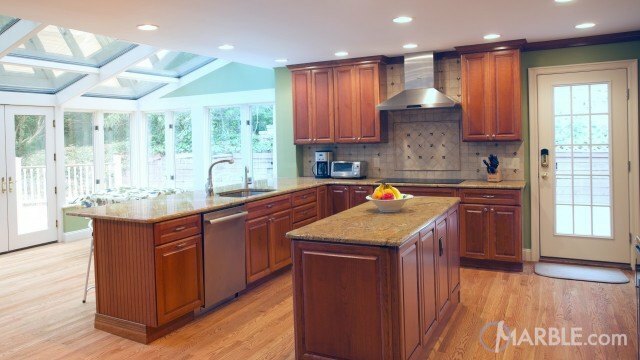 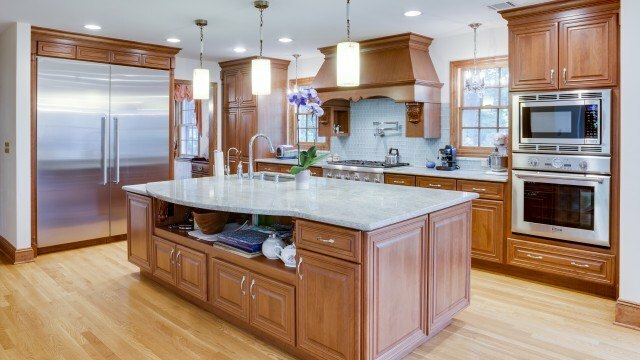 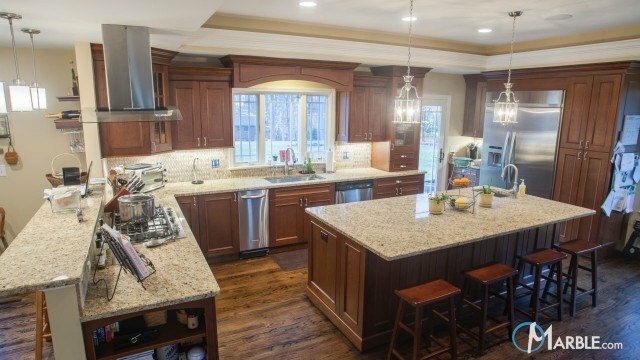 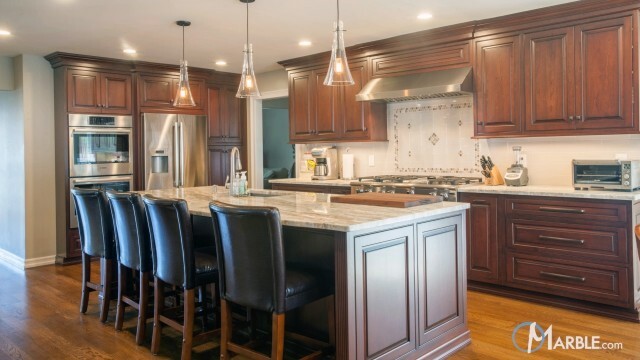 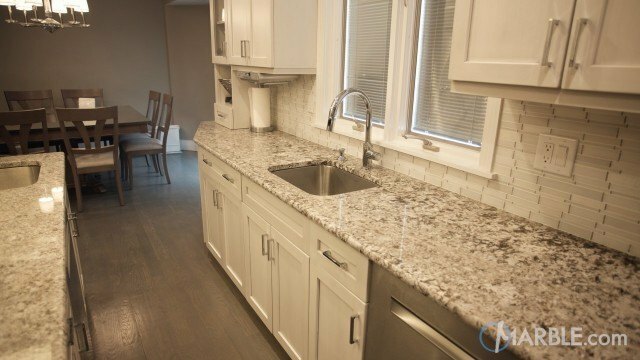 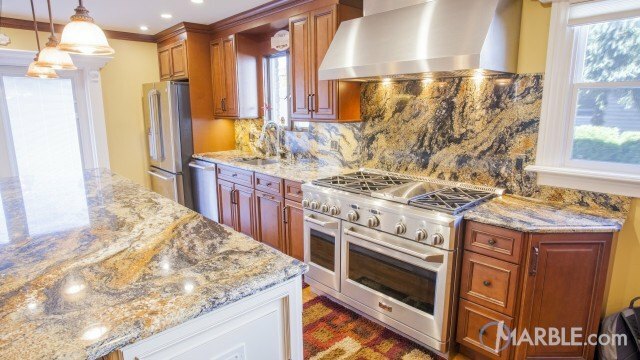 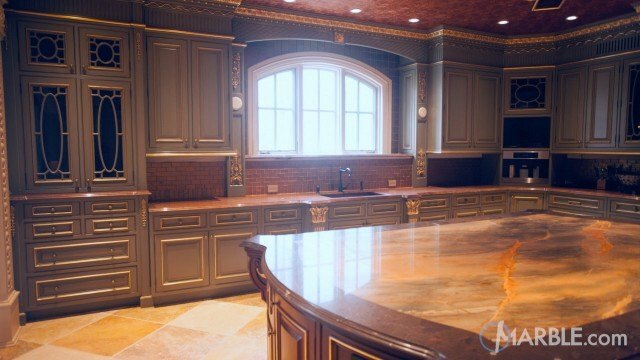 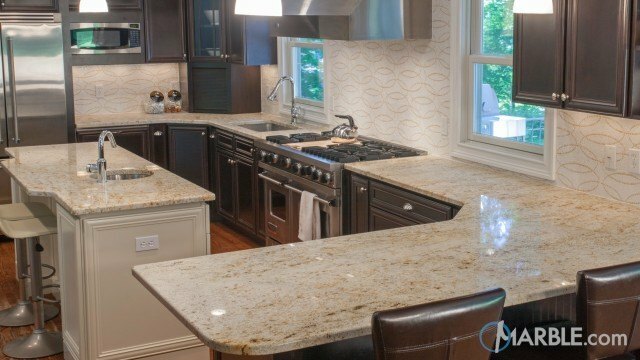 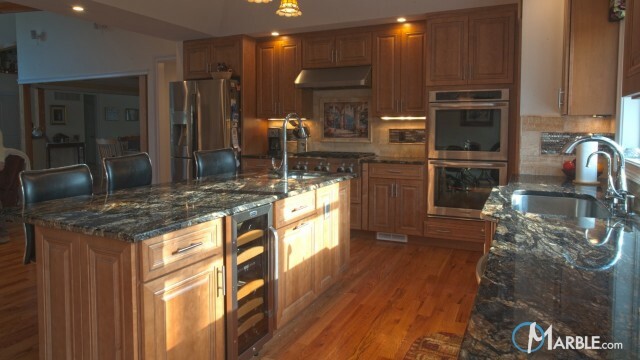 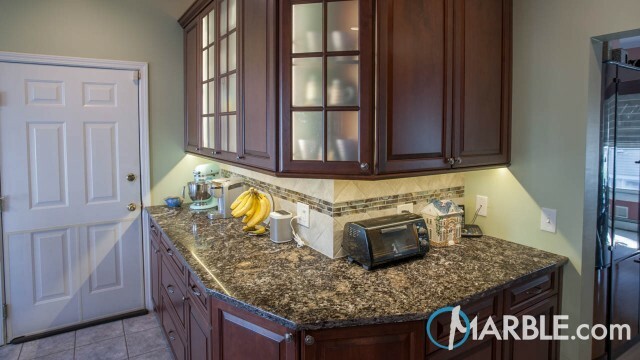 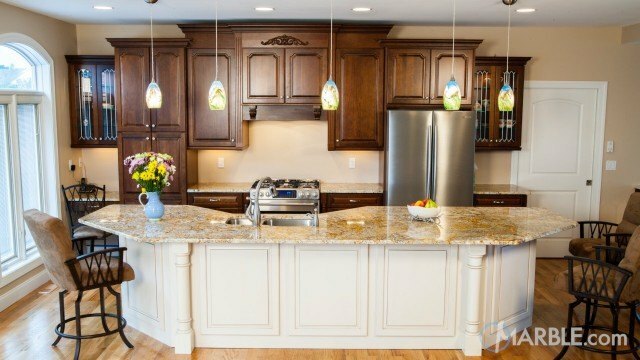 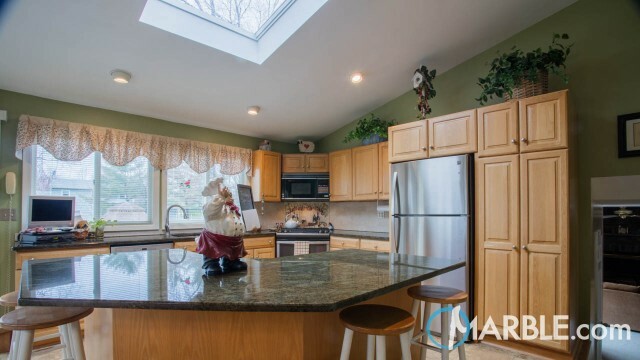 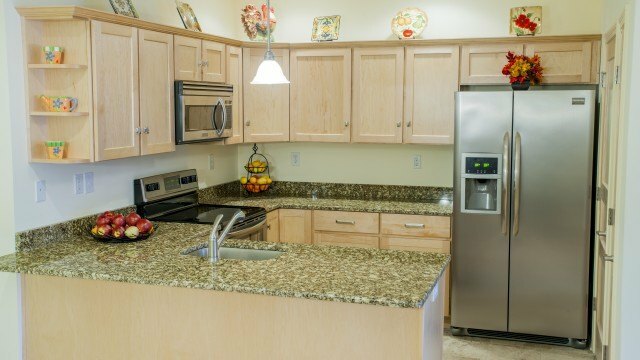 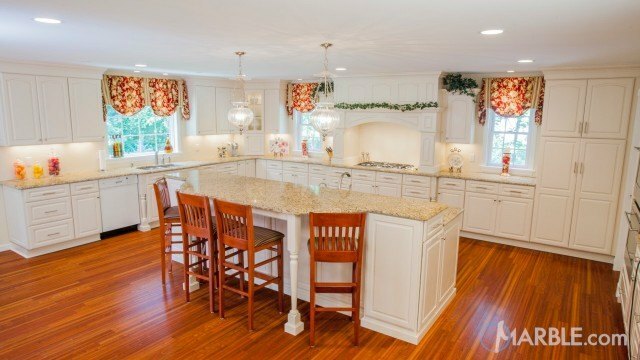 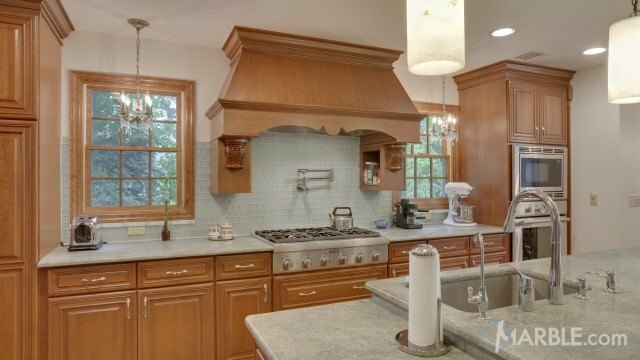 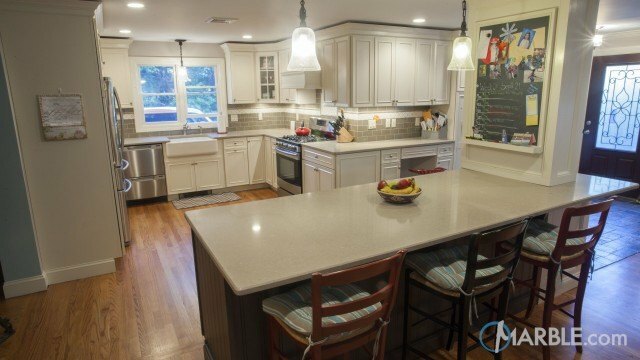 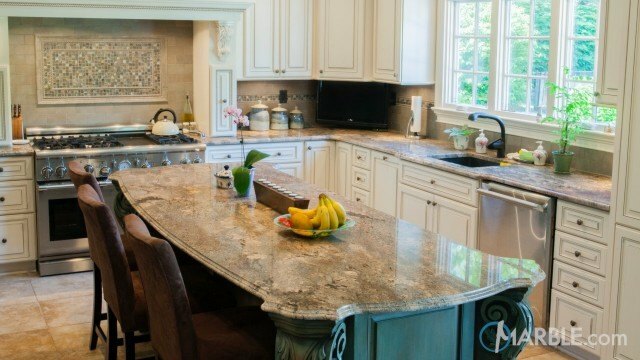 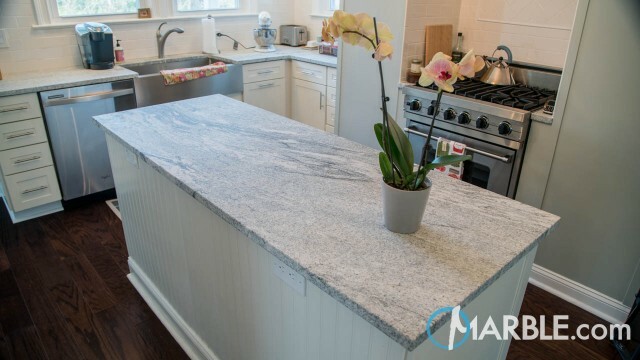 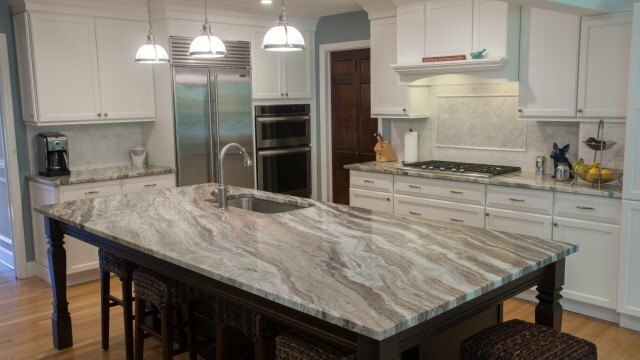 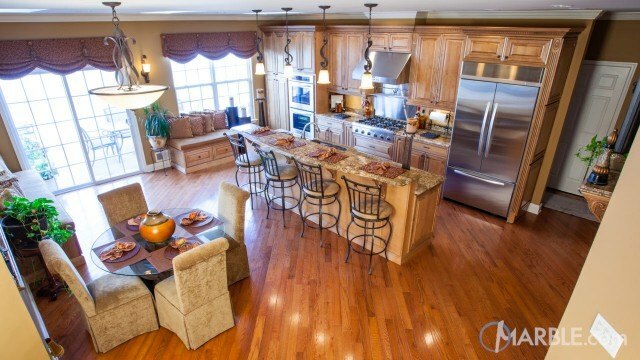 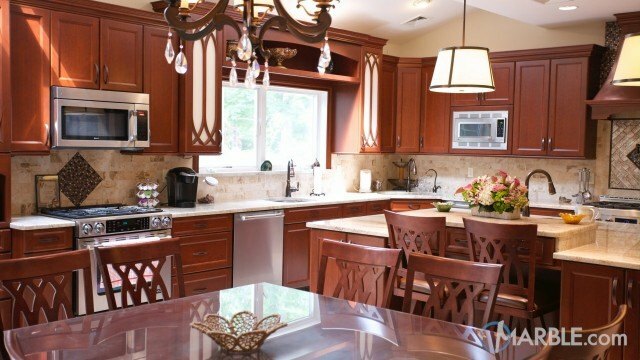 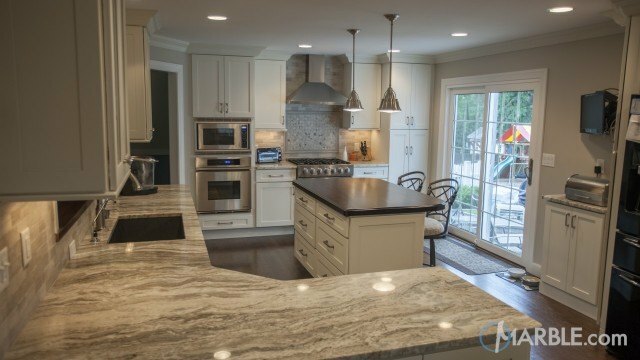 The Kashmir Beige granite counter gives the kitchen a light and airy feel. 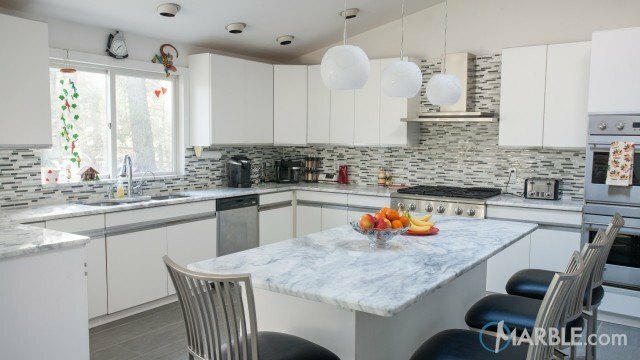 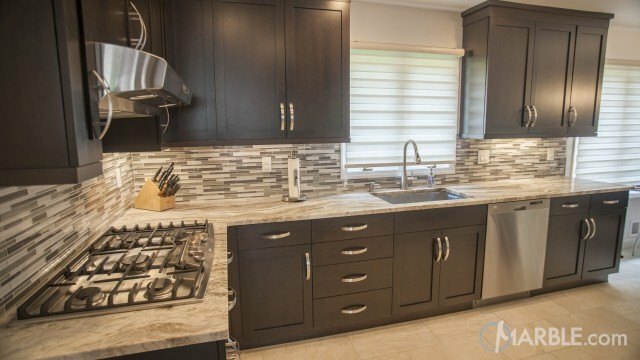 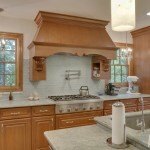 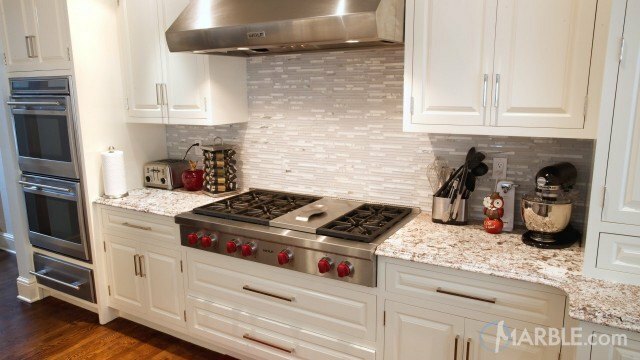 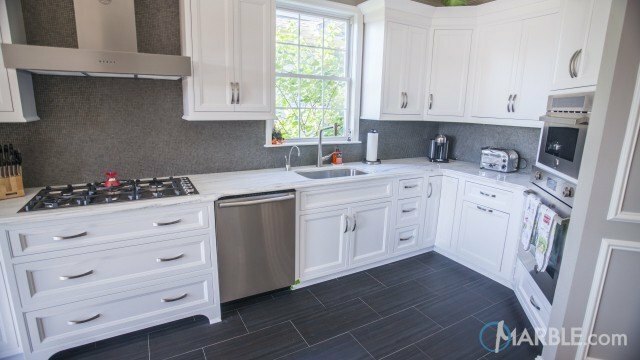 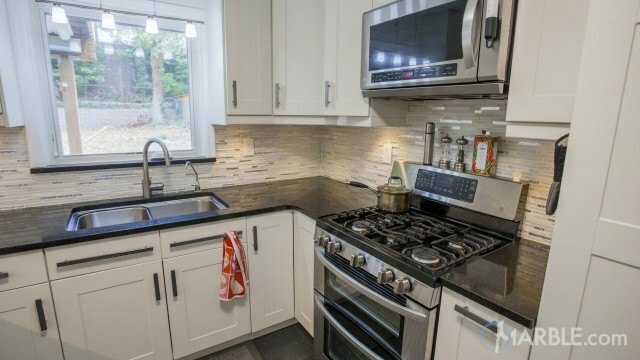 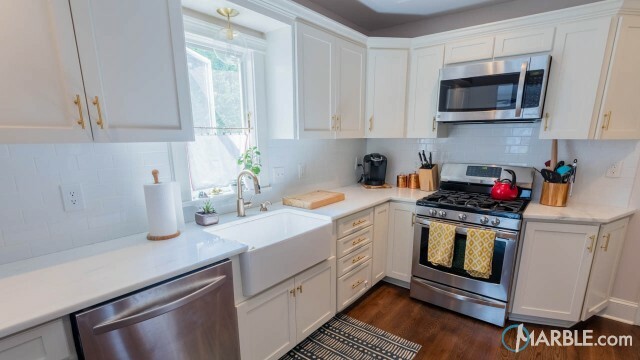 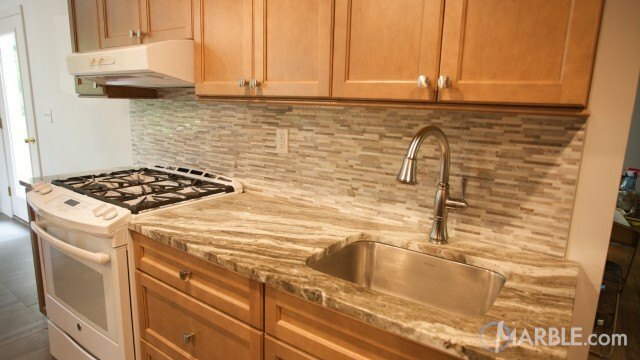 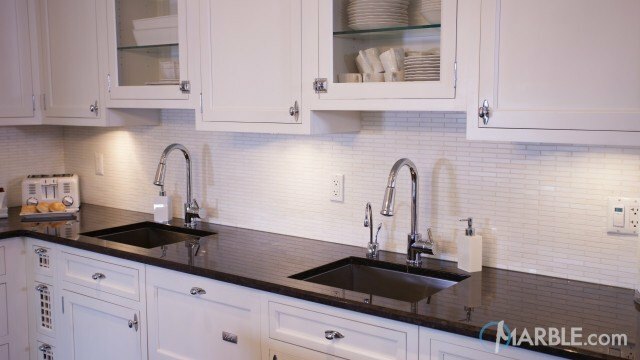 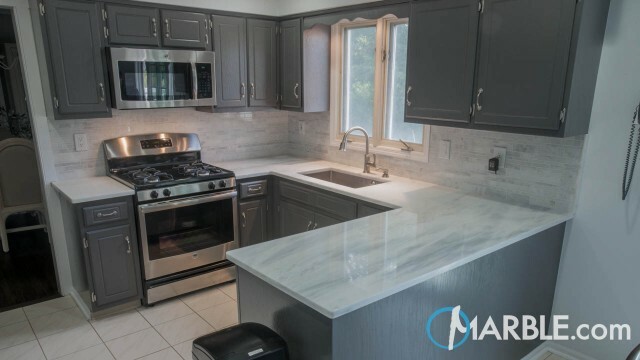 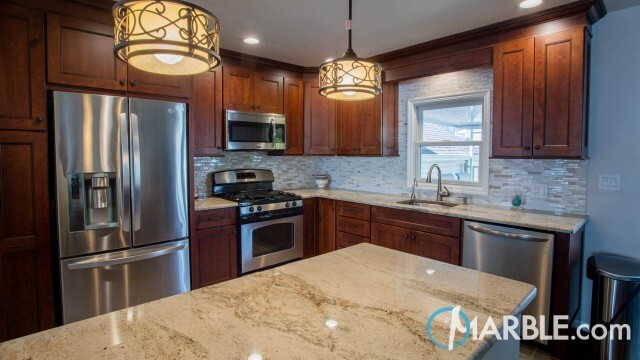 Wooden cabinets contrast the beige and grey of the stone, and a matching tile backsplash brings color onto the wall as well. 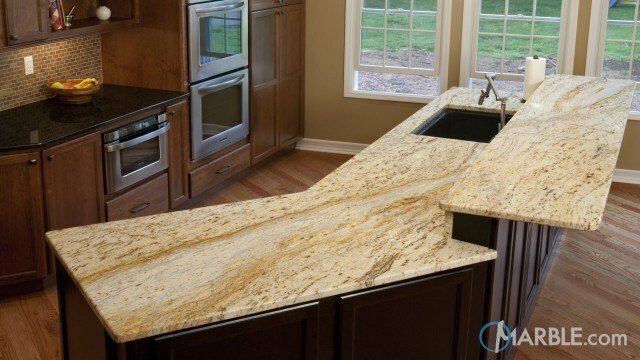 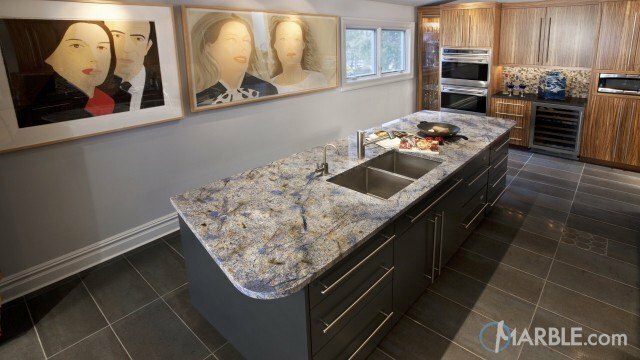 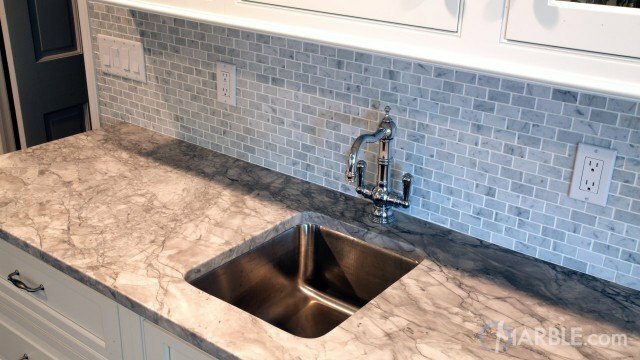 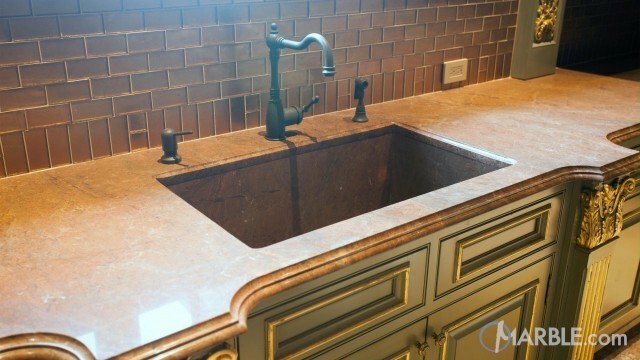 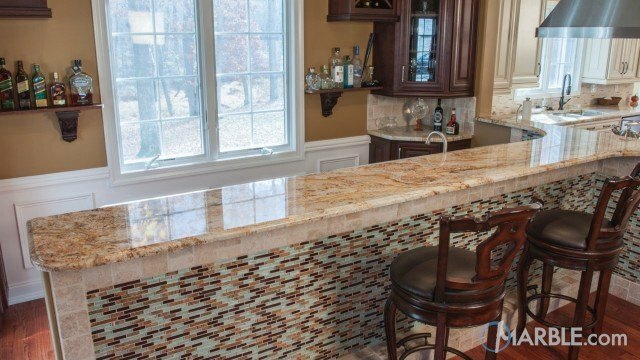 A Half Bullnose Edge profile makes the stone appear soft and fluid. 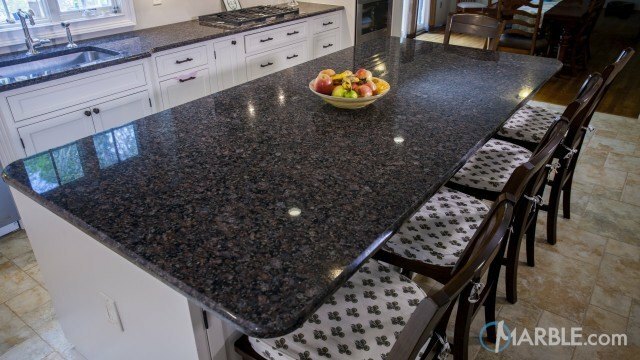 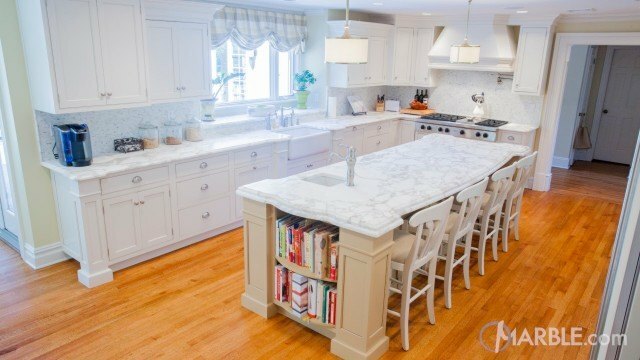 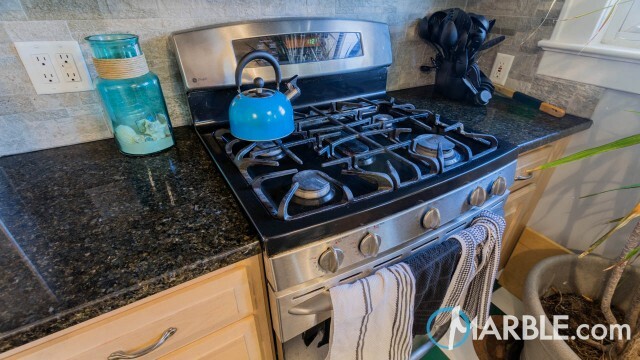 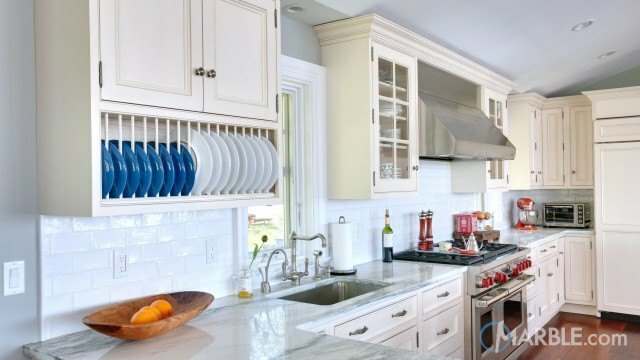 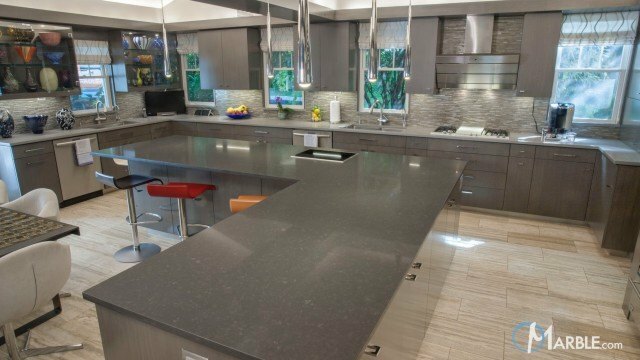 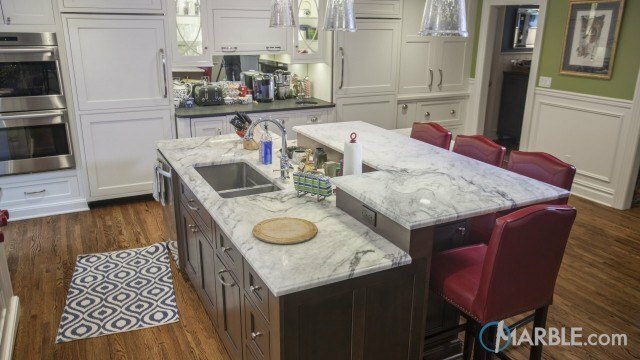 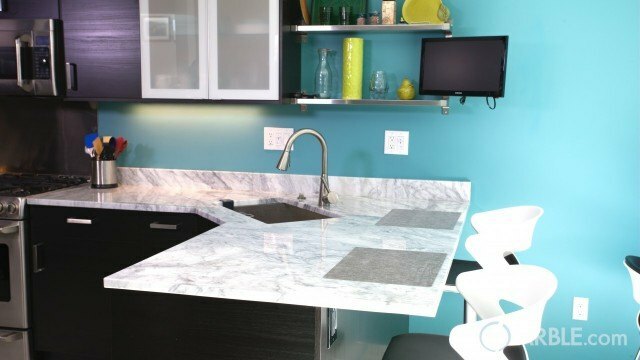 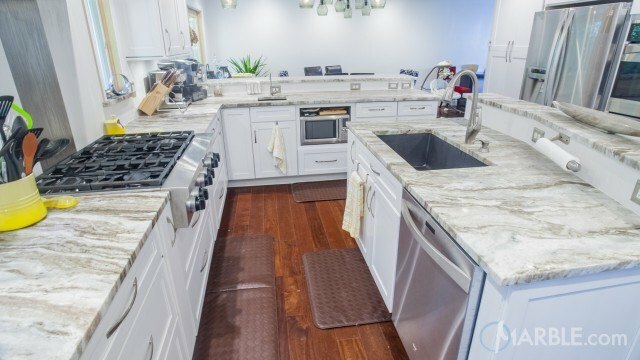 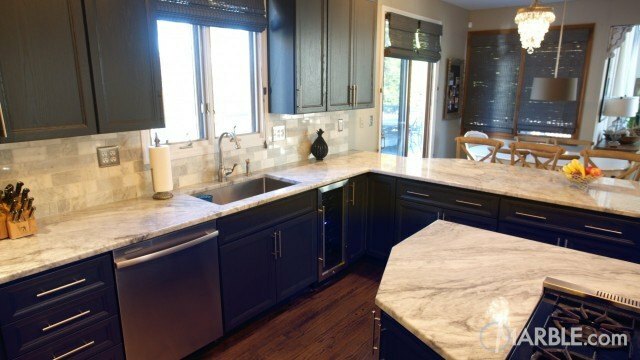 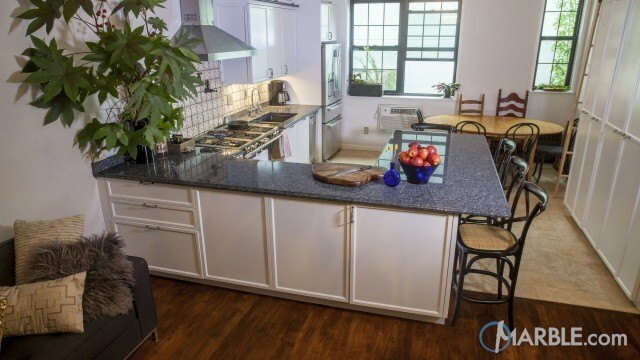 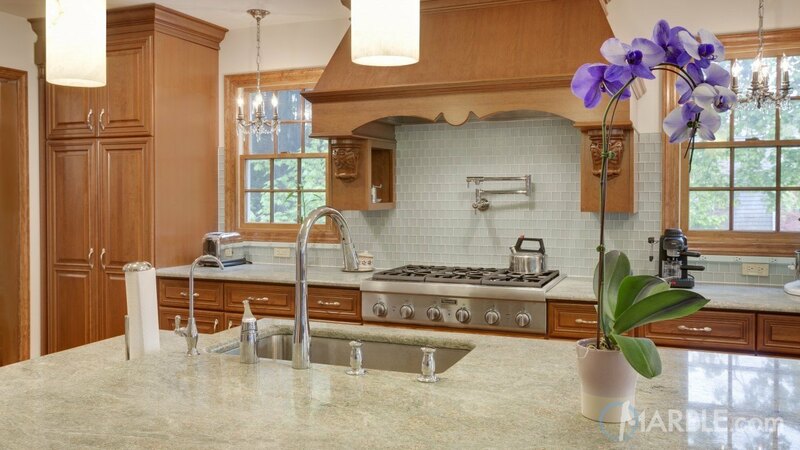 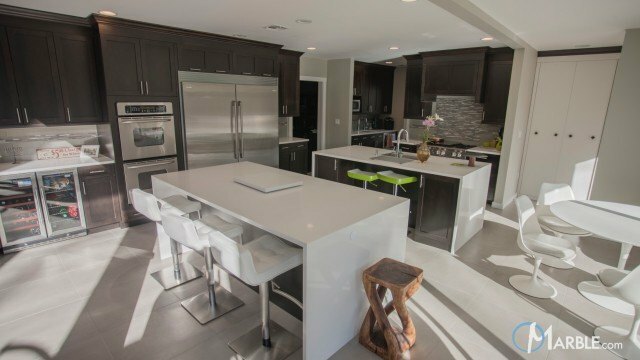 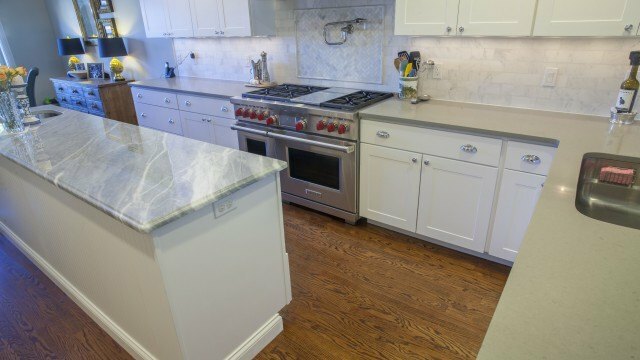 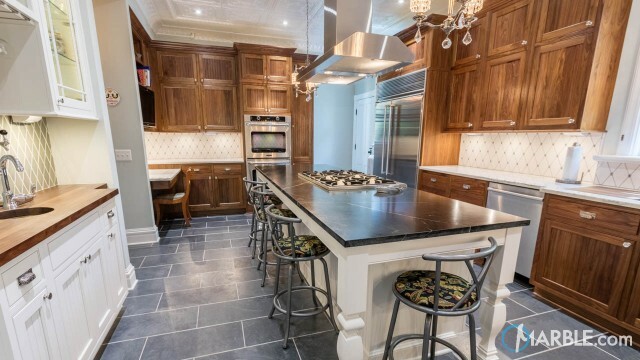 Purple flowers in the middle of the island add a pop of color which can be replaced as desired to bring multiple moods to this versatile kitchen.